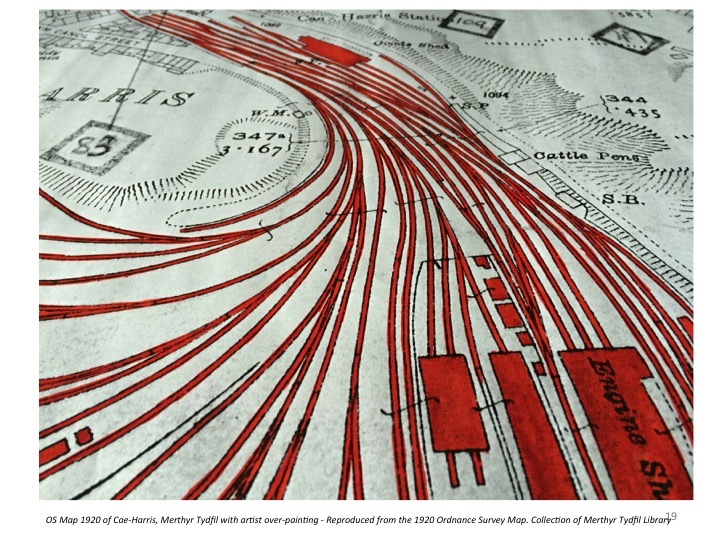 I recently posted a very long set of images which formed the basis for a research & contextual study I have produced for the Bus Station Project. 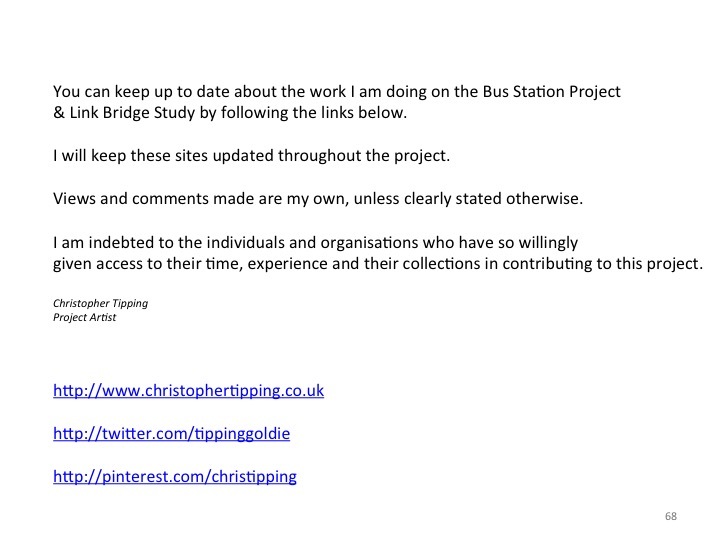 I have now managed to sort out how to post a link here to the actual pdf document, which you can now view with much more clarity. 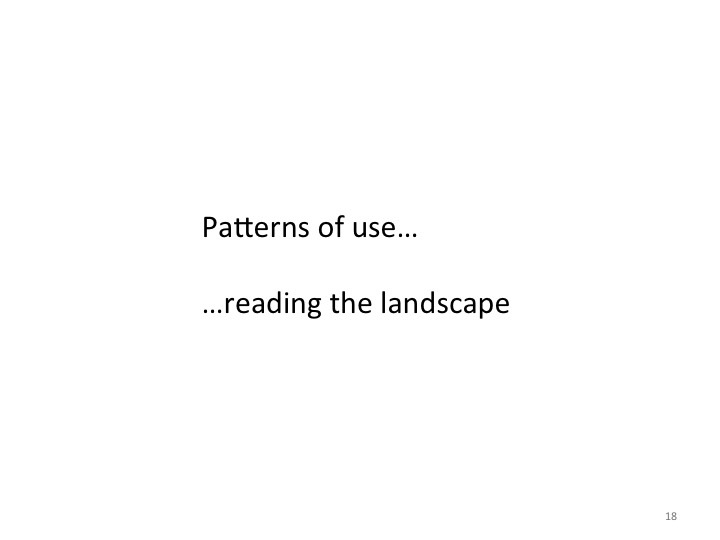 This pdf is only a part of the contextual research which has been done – but forms a good basis on which to reflect upon the influences and threads of research which have caught my attention. Much more work has been done since this was completed and I hope to post more images of draft and concept drawings and sketches very soon. Tuesday 12th and Wednesday 13th May 2015 -On Tuesday I travelled up to Cardiff from Ramsgate, Kent for a design meeting with Capita, the project architects. I was accompanied by Simon Fenoulhet of Celfwaith, who developed and is overseeing the Public Art Strategy for Merthyr Tydfil County Borough Council along with Mererid Velios. Great to have someone with his experience with whom to navigate the project ! 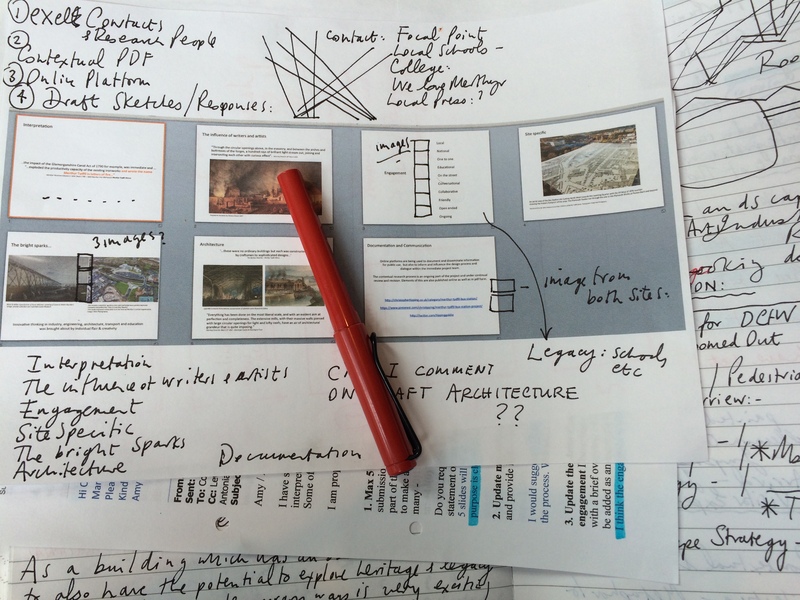 We discussed the draft development of the building and landscape and how the creative contextual research and analysis of the site, which I have been doing in order ‘to influence the design process’ is becoming a part of the interpretive strategy for the building. Once this process becomes more involved and collaborative then I hope we will see some really interesting narratives and themes emerging. 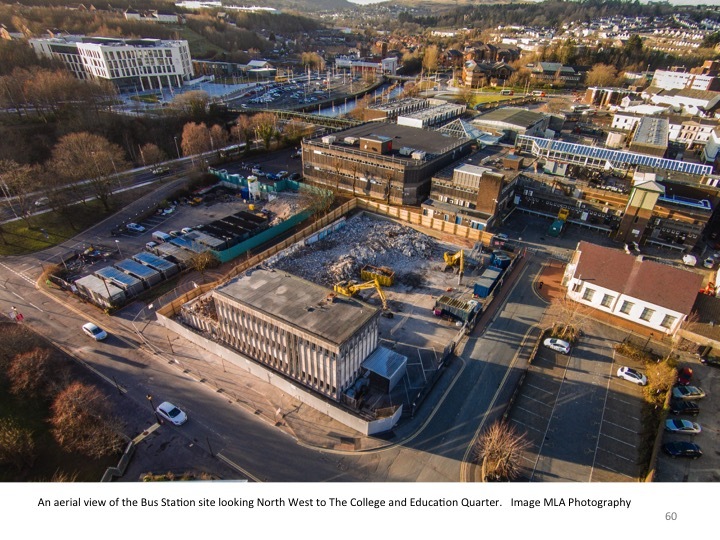 We are continually having to address the function of this site as a Bus Station and interchange and the demands it brings to the project. 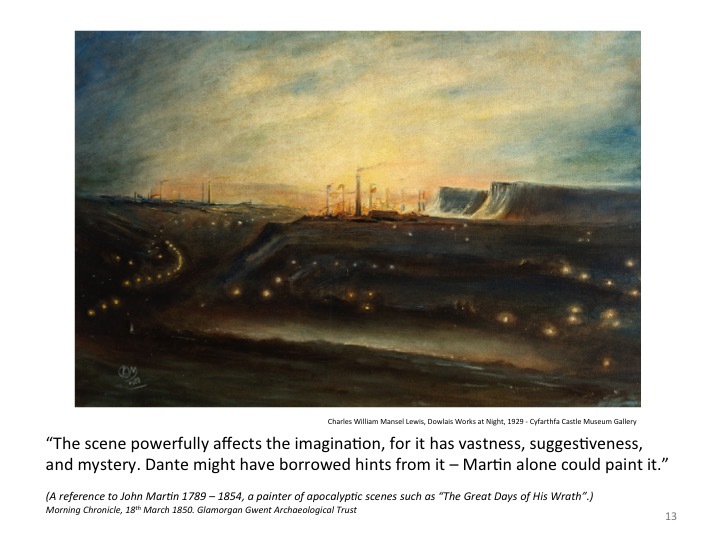 That notwithstanding, the interpretation and contextual needs and aspirations for this site have to be seriously considered. 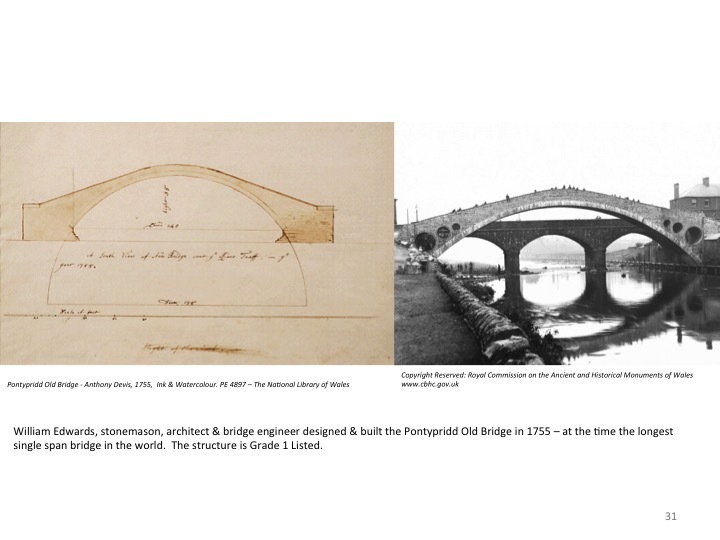 Wednesday was our final team meeting before the presentation to the Design Commission For Wales scheduled for Thursday 21st May. 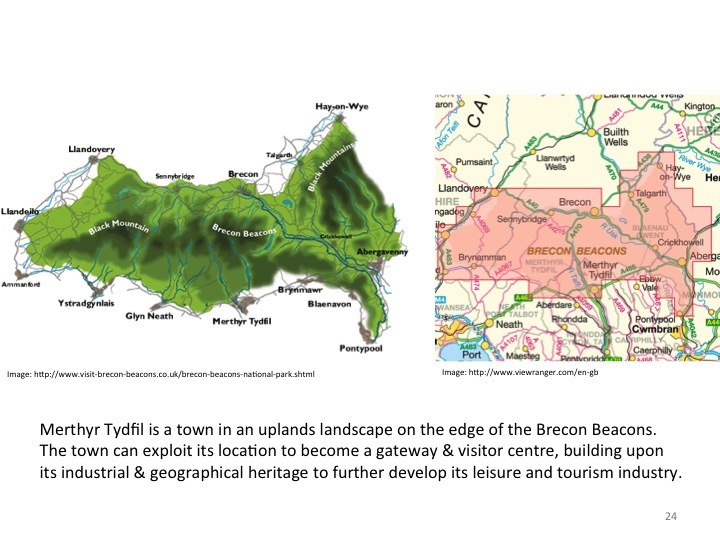 I met with Jason Williams, Lecturer in Art & Design at The College Merthyr Tydfil, and co-ordinator of Level 3 Art. 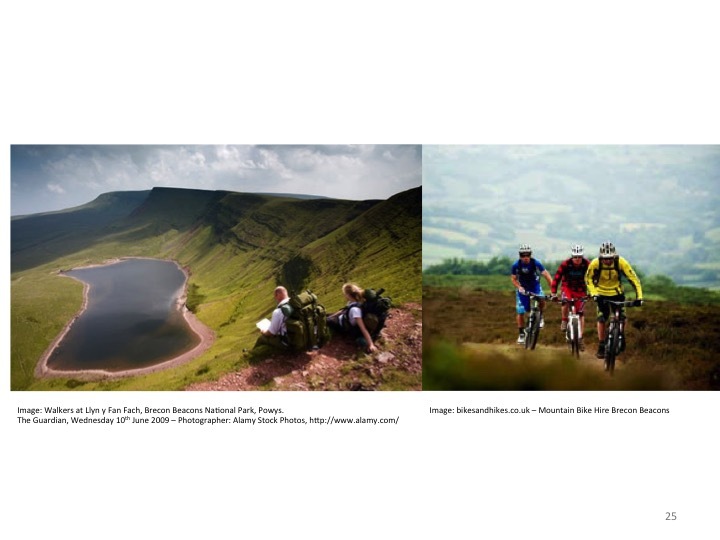 This is just one of a much wider portfolio of courses offered within the division of Creative Industries at the College, which is headed up by Chris Ford. 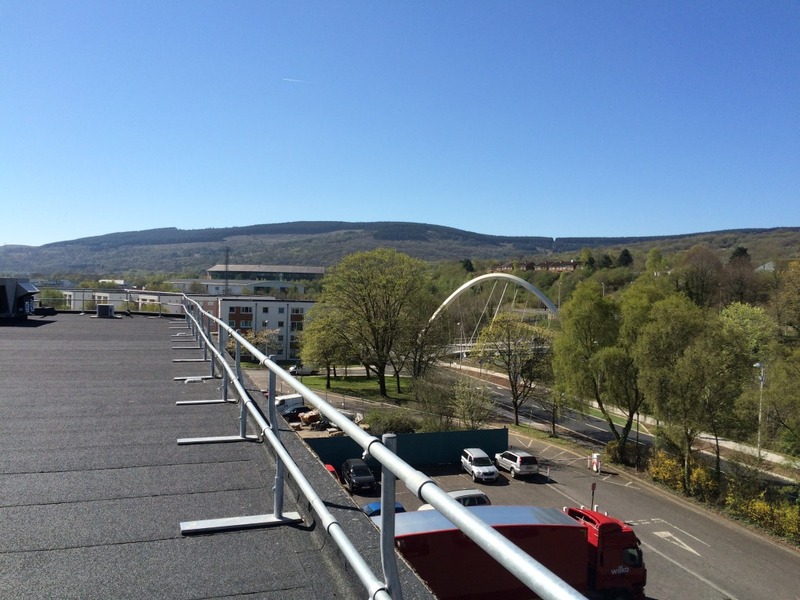 The Art & Design studios are on the top floor of the building affording the most amazing and creatively aspirational views in the region. Creativity is really significant here. 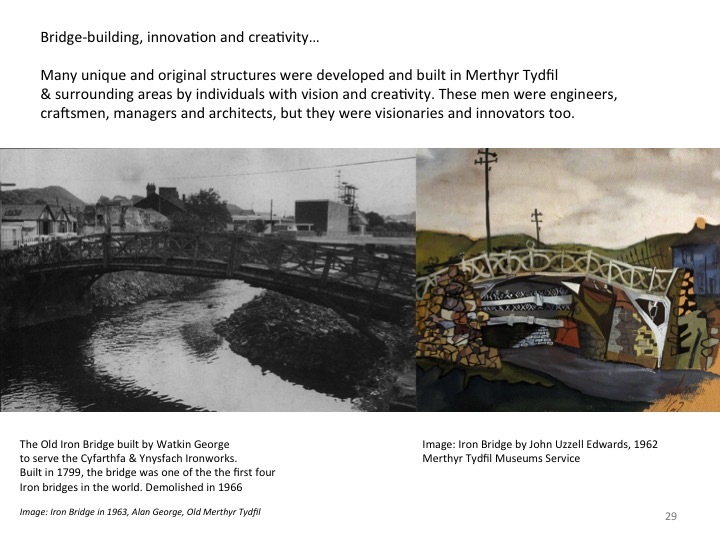 I like to think of this place as a powerhouse of ideas and inspiration – innovation and energy – building a new legacy for Merthyr Tydfil via Education and the Arts. We discussed the potential for some engagement by students – in this case within Art and Design, but could perhaps encompass the wider Creative Industries Division – to work within and or alongside the Bus Station and Link Bridge developments to take advantage of a live project against which to set and test skills and creativity. 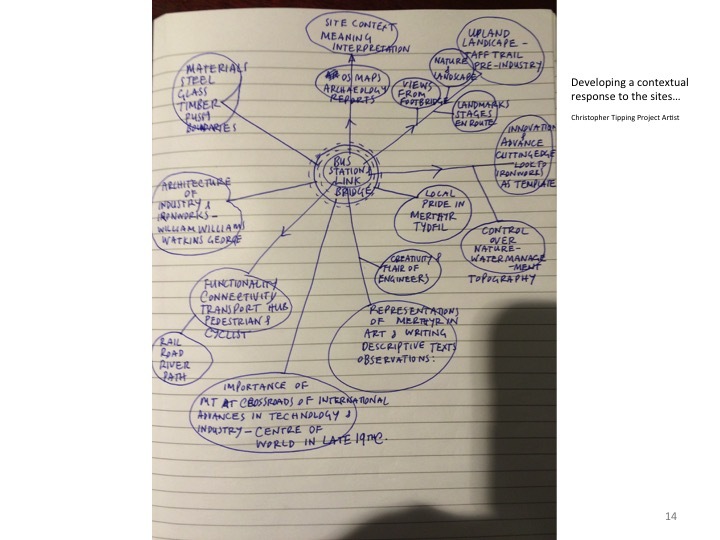 The potential to build this engagement into the Academic year is a tangible one, but something that would have to be developed quickly during this month in order to build it into the next Academic Year. 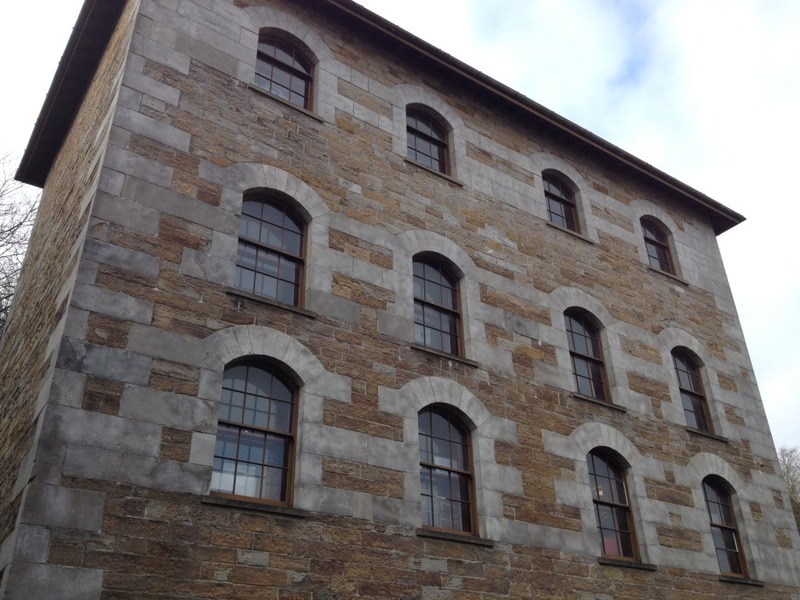 The College Merthyr Tydfil also shares space at Redhouse, the former Town Hall on the High Street, where all Music, Media, Film, Dance, Technical Theatre and Drama students study in bespoke professional standard facilities. 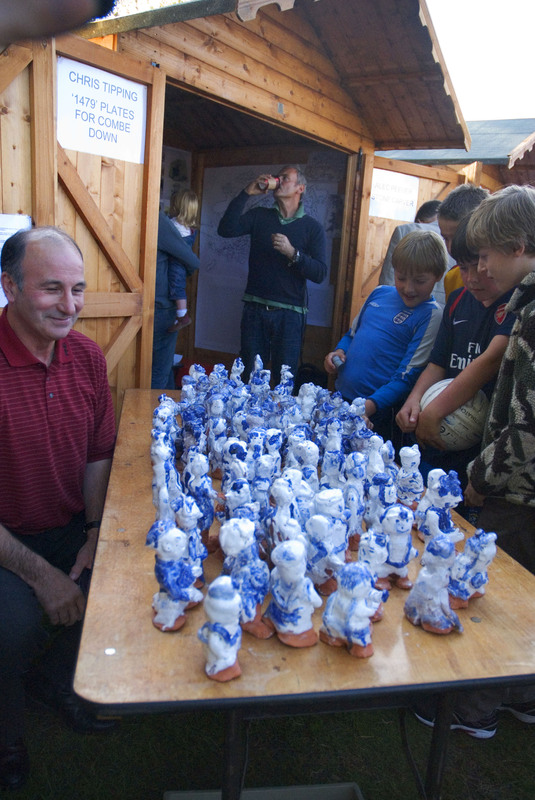 Thursday 30th April 2015 – This has been a crowded by very productive visit. 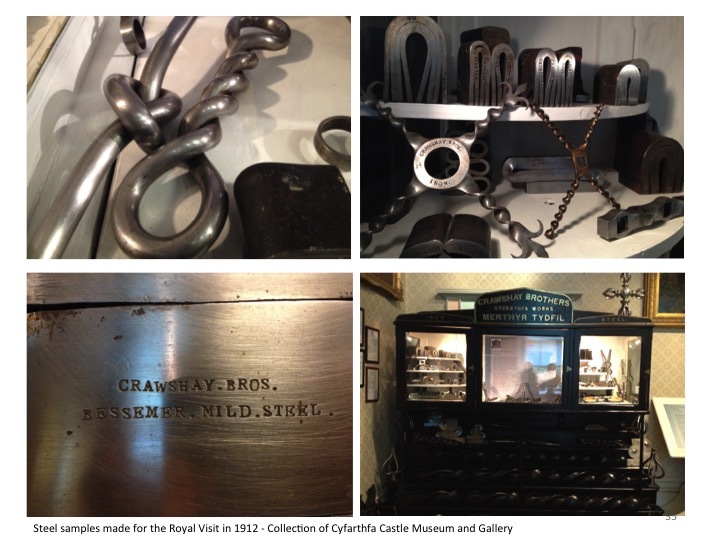 Yesterday in the National Museum Cardiff and this morning meeting with the Principal of The College Merthyr Tydfil. 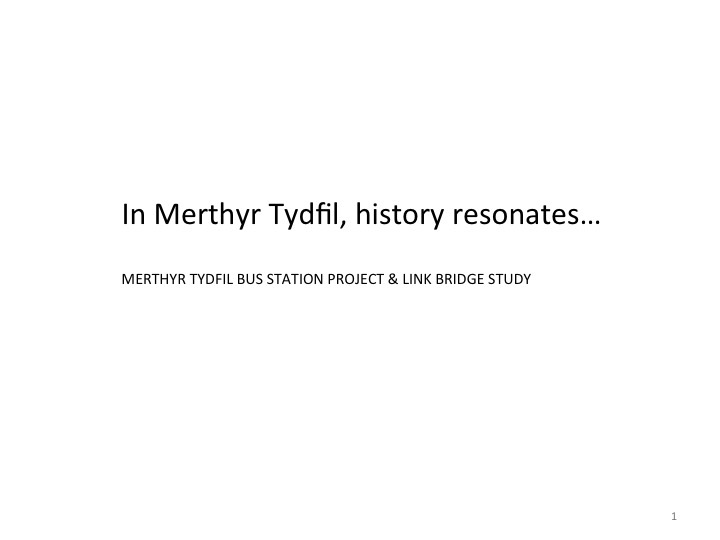 What perhaps I didn’t mention in the last post, is that the aim of these meetings is to propose some form of engagement with educational establishments and local schools here in Merthyr, during the construction period of the new Bus Station. This afternoon I had two very informative visits to local schools in Caedraw. St Mary’s Catholic School. Headteacher, Mrs K Wathan, unfortunately had to go to another meeting, I met with her deputy, assistant headteacher Mrs C Cope. St Mary’s school fields and perimeter fence run partly along Swan Street, juts opposite the site of the new Bus Station. 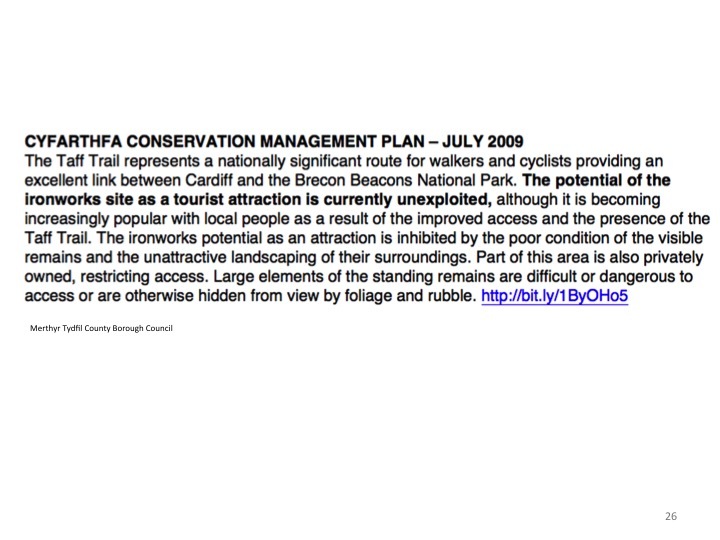 This obviously raises questions about security, noise, transparency and the increased pedestrian activity on the site. As the schools are actually side by side and share a perimeter fence, very much the same issues arose when talking to Mrs J Watkins, Headteacher of Caedraw Primary School and her Deputy Head, Miss D Williams. These issues notwithstanding, the purpose of my visit was to discuss the opportunity for engagement with the schools and pupils. 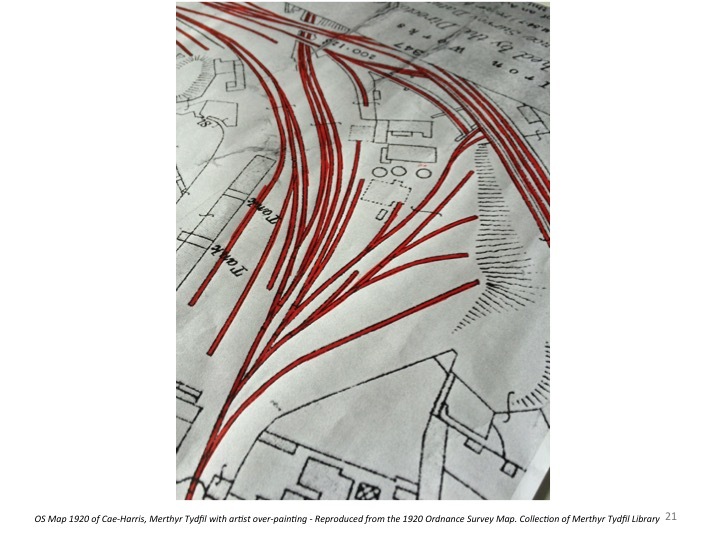 This could be by way of a drawing or writing project about Bus Stations, or transport – or even to explore the impact of the new Bus Station on their school day. Quite often on project such as this the main contractor, once appointed, would engage with the local community. 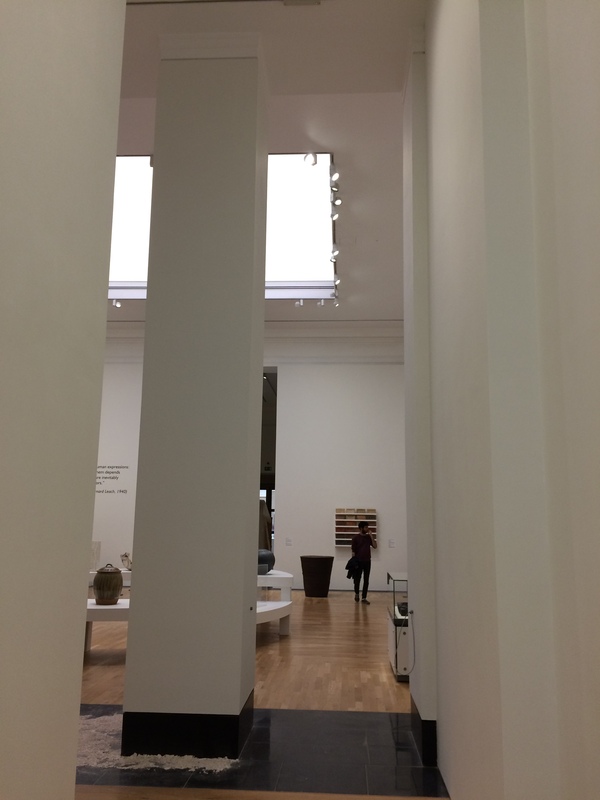 Often this translates as artwork on the site hoardings – which can be very visual and effective – to learning visits by children to the project site throughout the build programme to see exactly how this building is constructed. I would like to see the contractors and other site specialists visit the schools to talk to the children about their work. 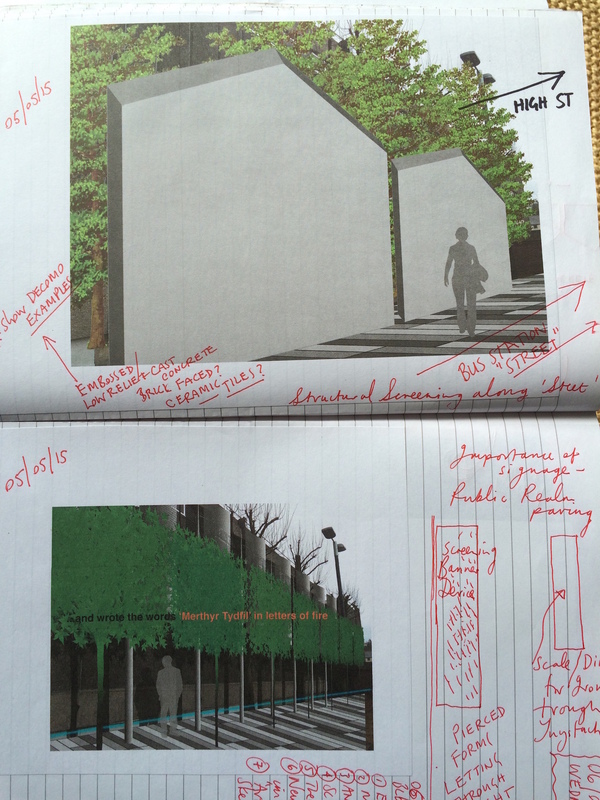 I will develop this proposal in more detail over the coming weeks. WATCH THIS SPACE! 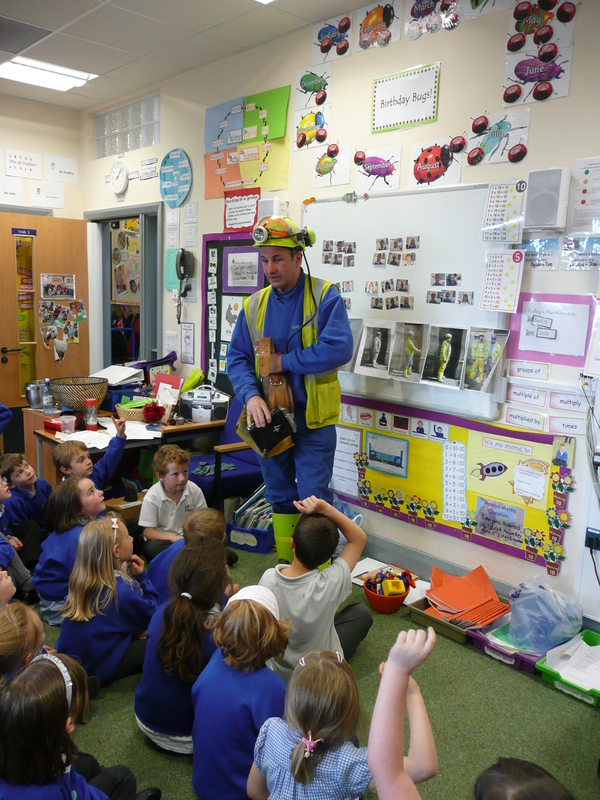 On a project at Combe Down, Nr Bath, I worked with a local school to commemorate the miners who had helped to save their village from subsidence caused by extensive historic stone mining under the village, which was causing problems. You can read about the project here. My involvement is also outlined here. 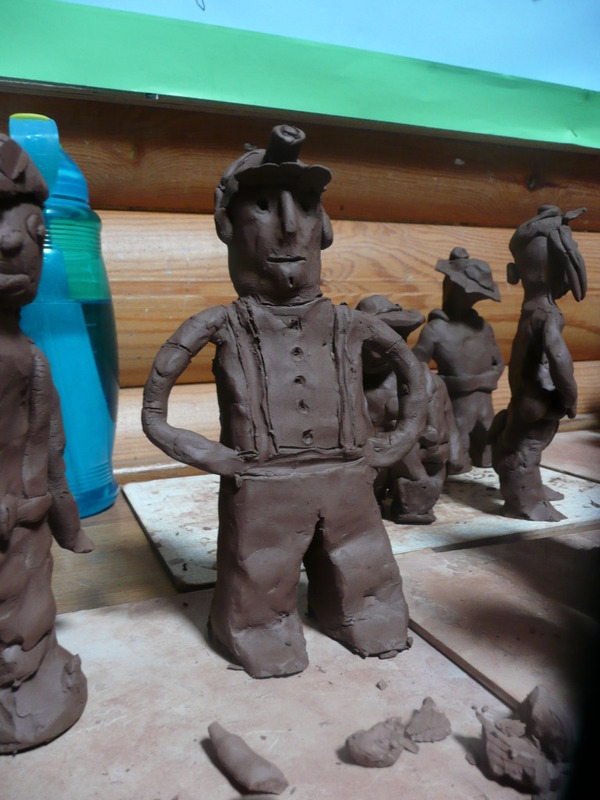 One of the hundreds of miners who worked on the project volunteered to come to the local primary school to be the model for our Combe Down Miners Ceramic Project. 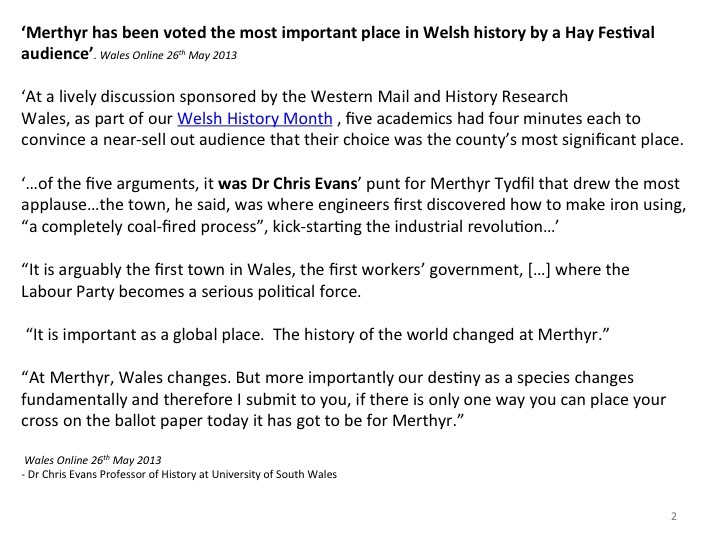 Most of the miners came from South Wales. 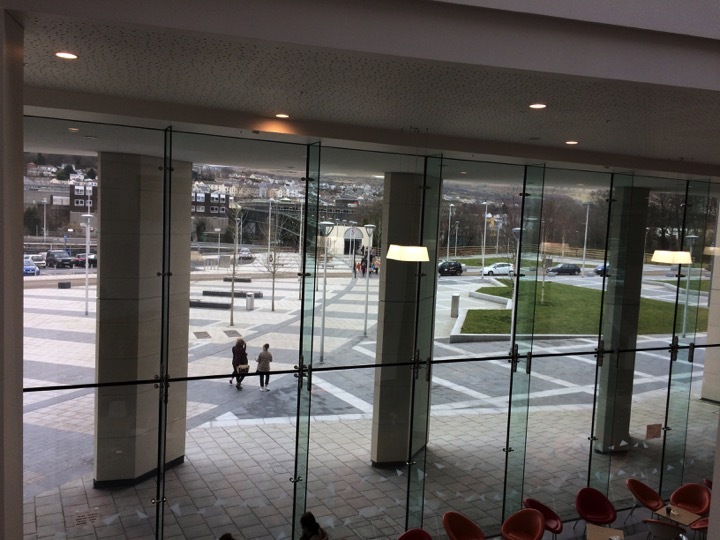 Thursday 30th April 2015 – I met with John O ‘Shea, Principal of The College Merthyr Tydfil . We talked about the history of the Old FE College and the state of the art new building the college now occupies. 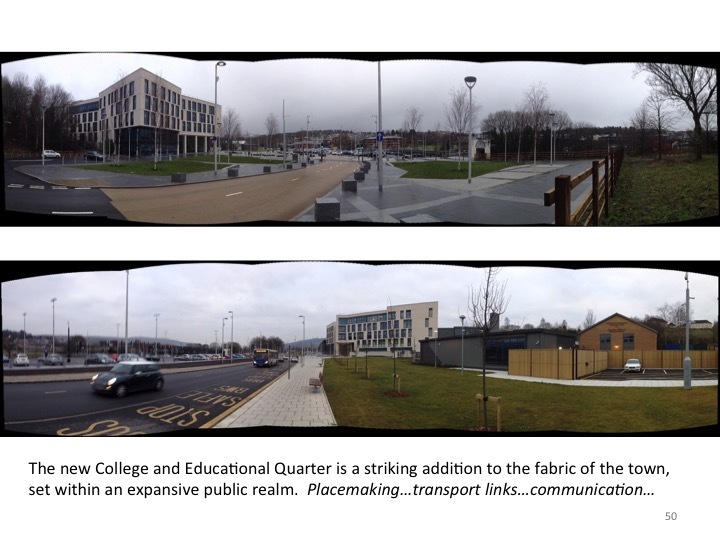 I wanted to know more about the aspirations for students coming to this site and how they travelled to get here. The Bus Station project is part of a wider transportation and communication network in the town and region. Many students walk from the train station, so pedestrian routes through the town are of great importance. 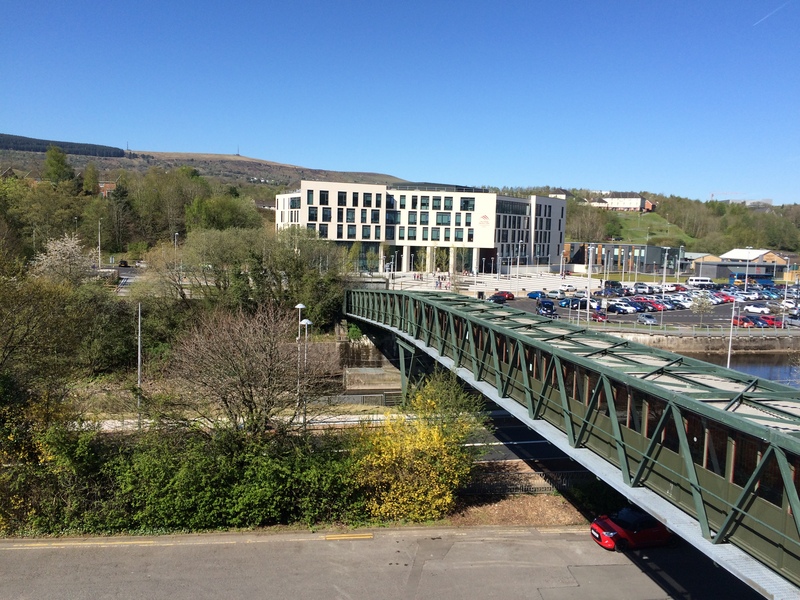 The new building by RMJM Architects (who acquired YRM, the Architects of the original 1960’s college building) sits within an extended and spacious public realm with clear desire lines to the pedestrian link bridge. 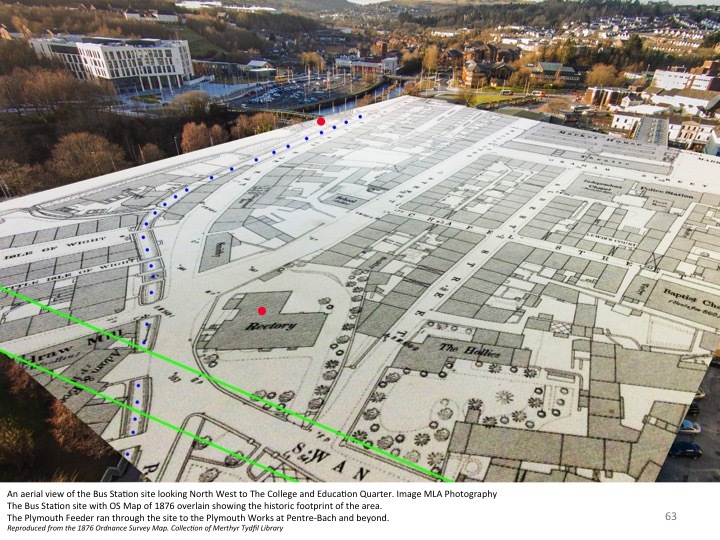 The feasibility study which is considering replacing the current structure with another design which also links to the new Bus Station, is a critical part of the transport strategy for the project. 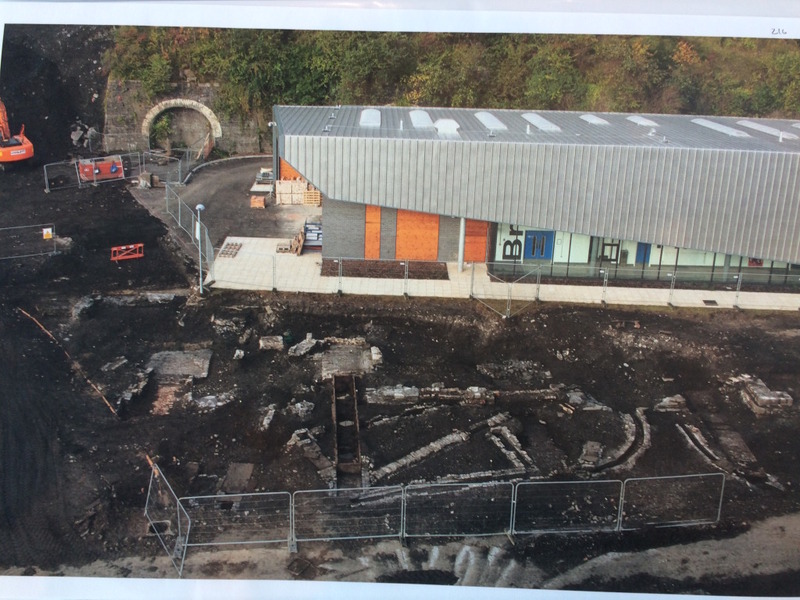 The building also sits upon the site of the former Ynsyfach Ironworks, which was extensively excavated and documented by the Glamorgan Gwent Archaeological Trust before the new building was erected. 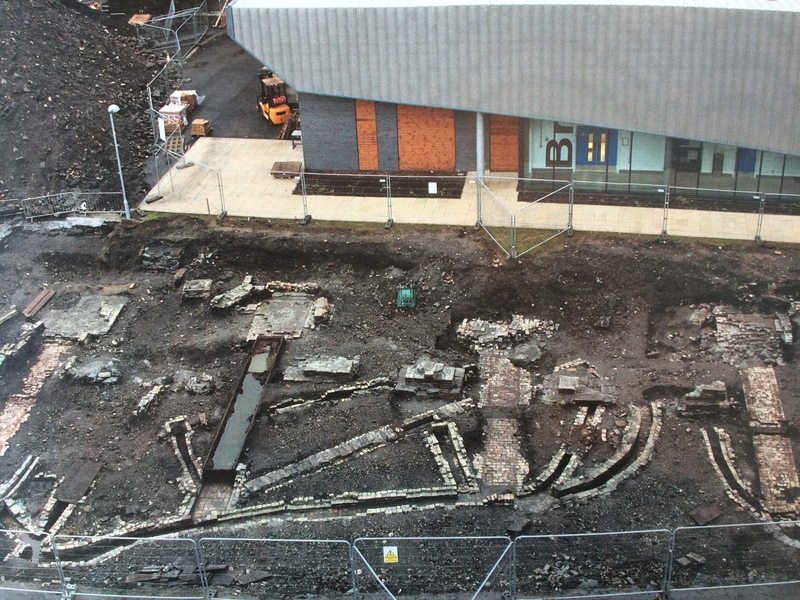 Robert Imiolczyk, Head of Estates at The College has also been a great help and has a wonderful and detailed photographic record of the earlier archaeological works undertaken on the site by GGAT. He has allowed me to reproduce some of the images here. 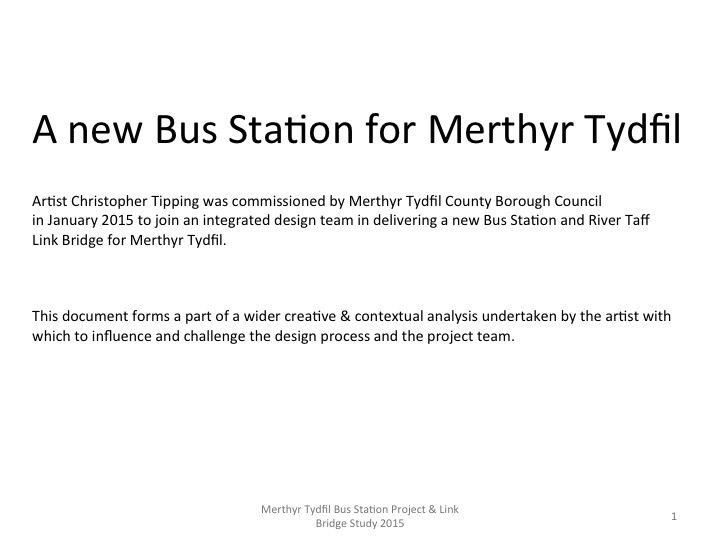 Merthyr Tydfil Bus Station Project. 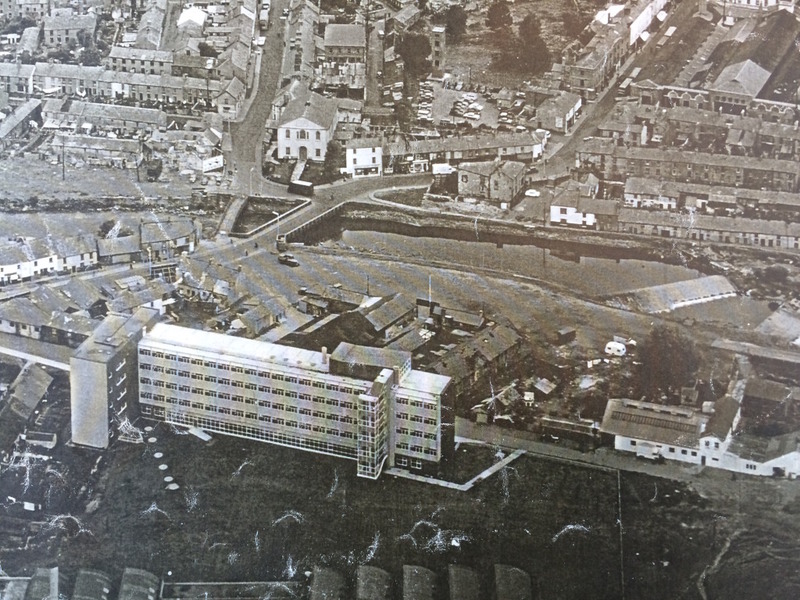 Aerial Image of Merthyr Tydfil College of Further Education circa 1960 by permission of Robert Imiolczyk, Estates Manager, The College, Merthyr Tydfil. 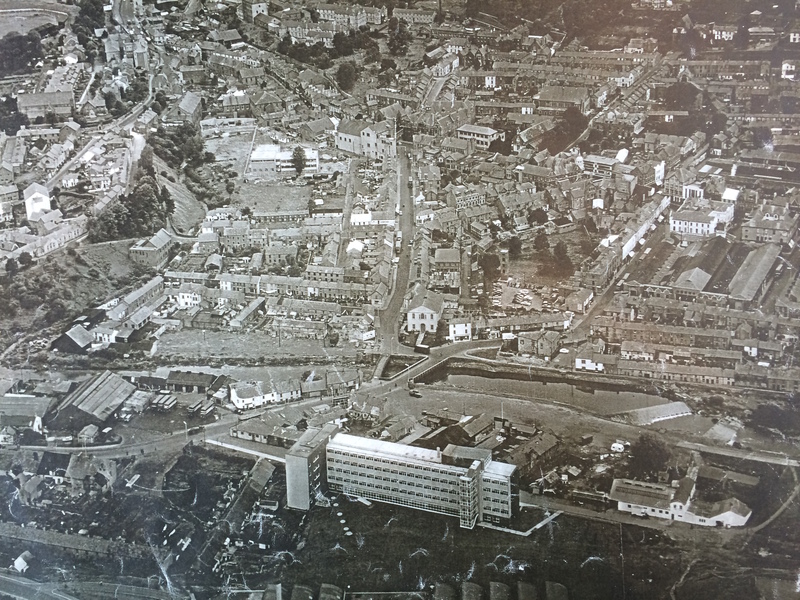 The original College of Further Education by Yorke, Rosenberg & Mardell Architects (becoming YRM) is seen here circa 1960 – bottom centre of image. 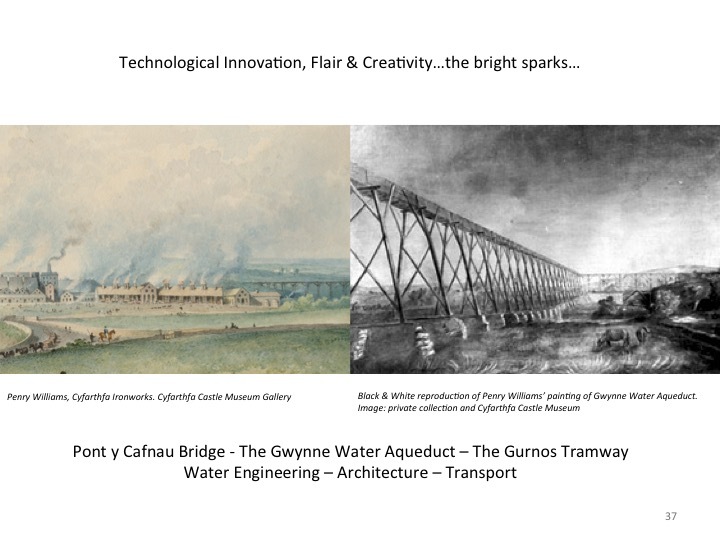 Just above this can be seen the original Iron Bridge at Ynysgau by Watkin George. 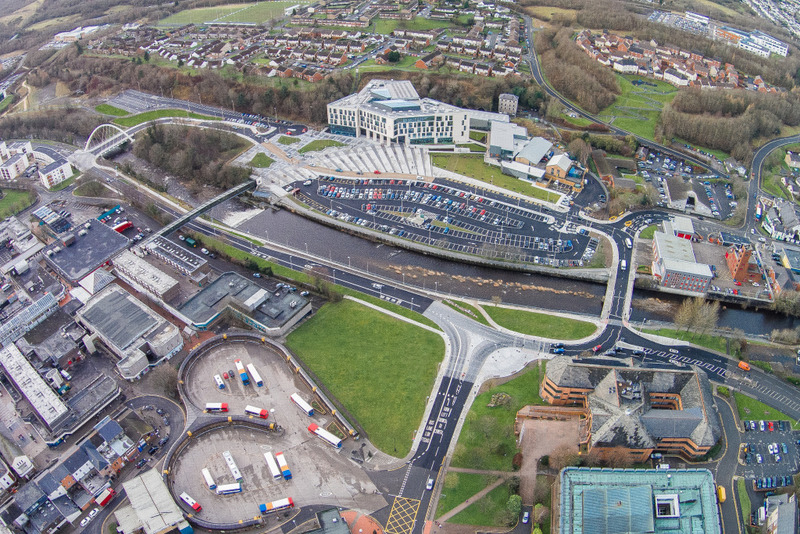 To the right of the image can be seen the double weir on the River Taff. 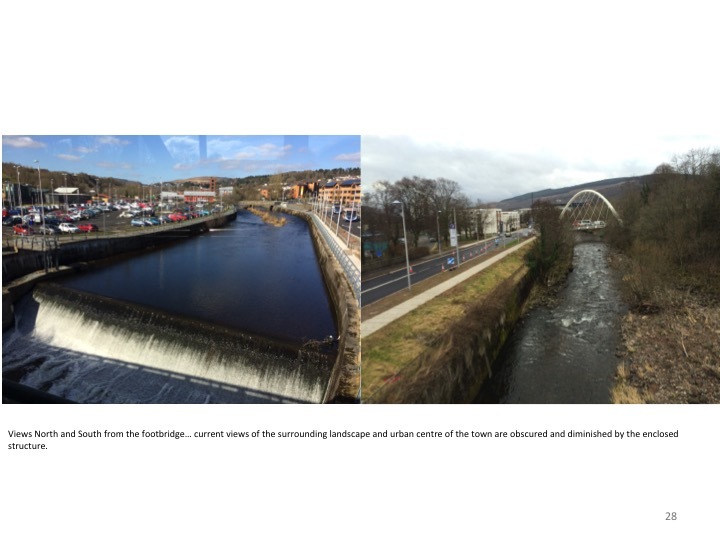 There is now only one weir which sits just up river from the St Tydfils Shopping Centre footbridge. 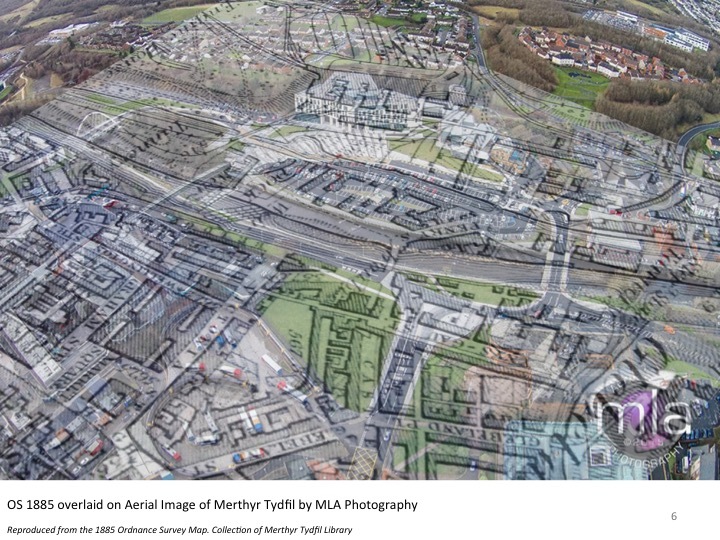 Merthyr Tydfil Bus Station Project. 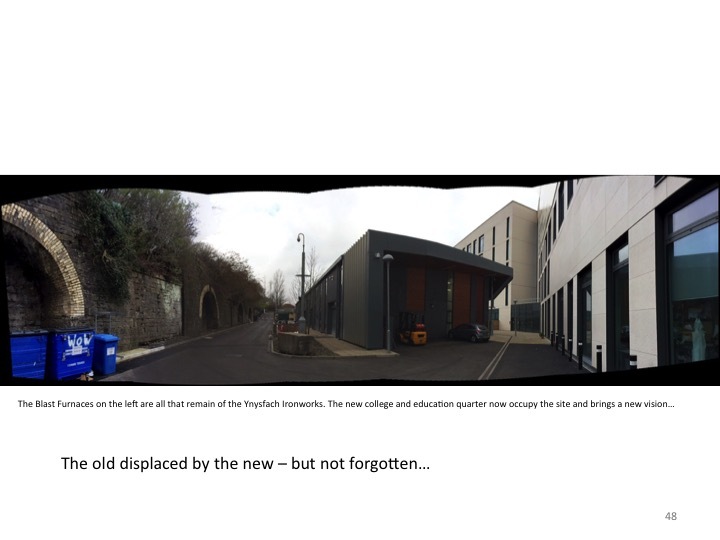 Detail: The old College of Further Education from an image by permission of Robert Imiolczyk, Head of Estates at The College, Merthyr Tydfil. 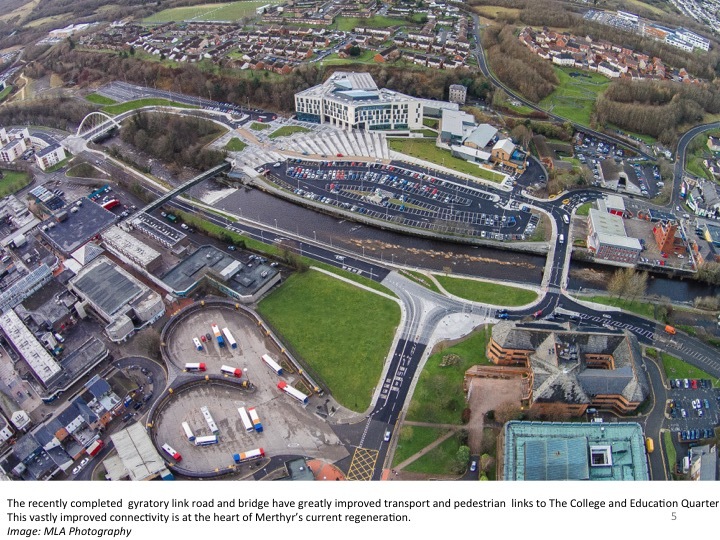 Merthyr Tydfil Bus Station Project. 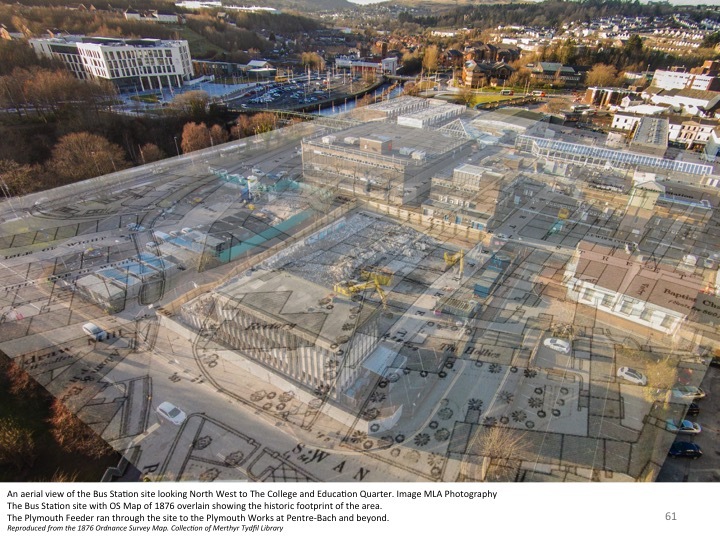 Detail: A description of the College of Further Education when newly built taken from an image by permission of Robert Imiolczyk, Head of Estates at The College, Merthyr Tydfil. 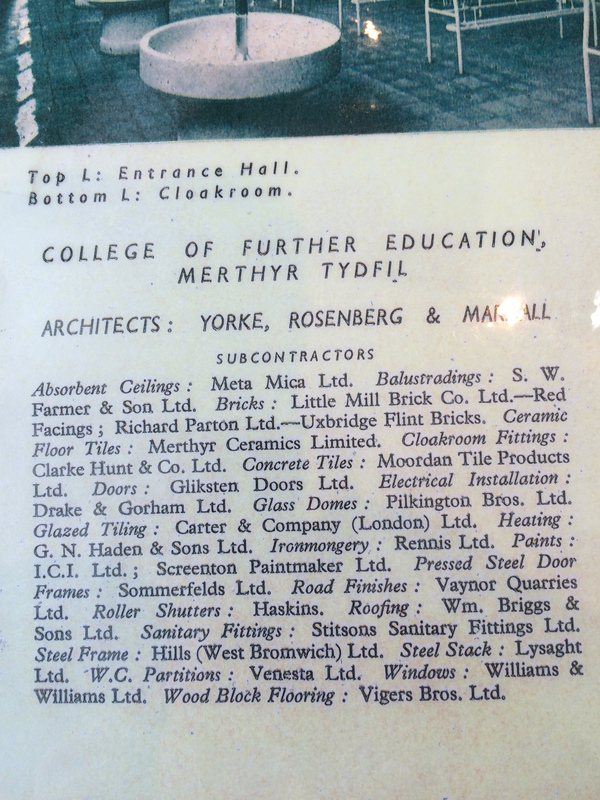 Very interesting to see the list of project contractors – especially Merthyr Ceramics Ltd who supplied ceramic floor tiles. 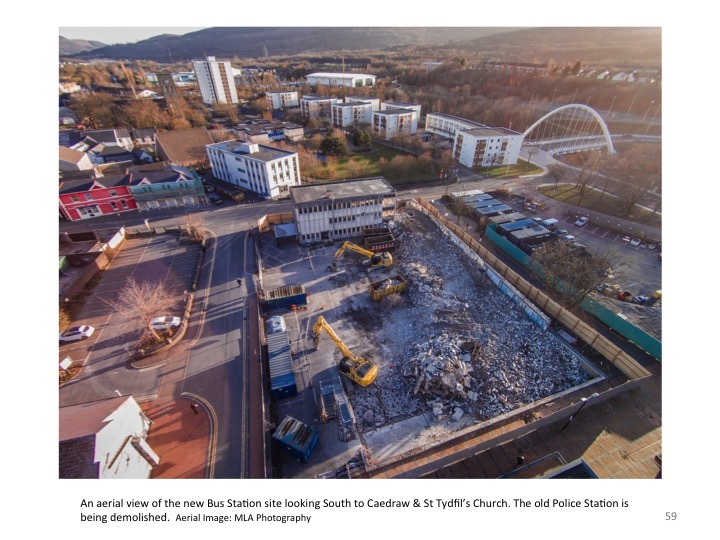 Merthyr Tydfil Bus Station Project. 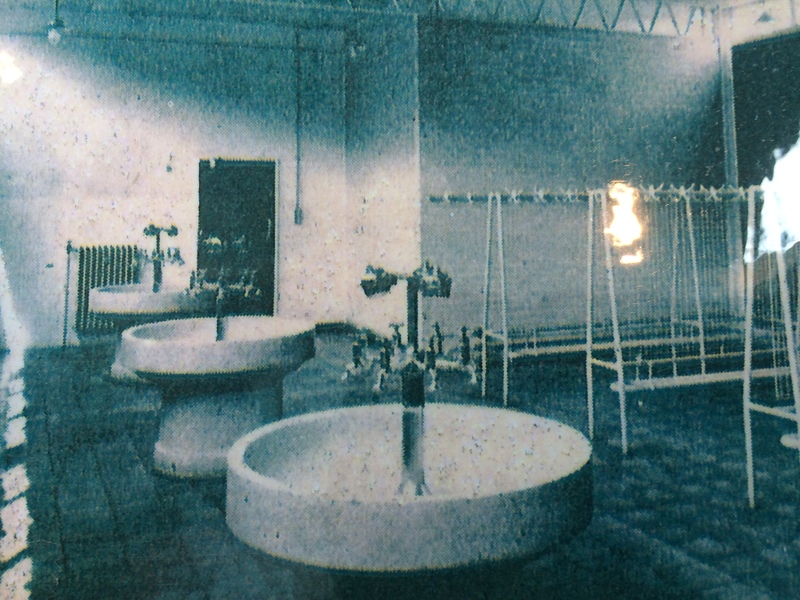 Detail: The old College of Further Education washrooms, from an image by permission of Robert Imiolczyk, Head of Estates at The College, Merthyr Tydfil. 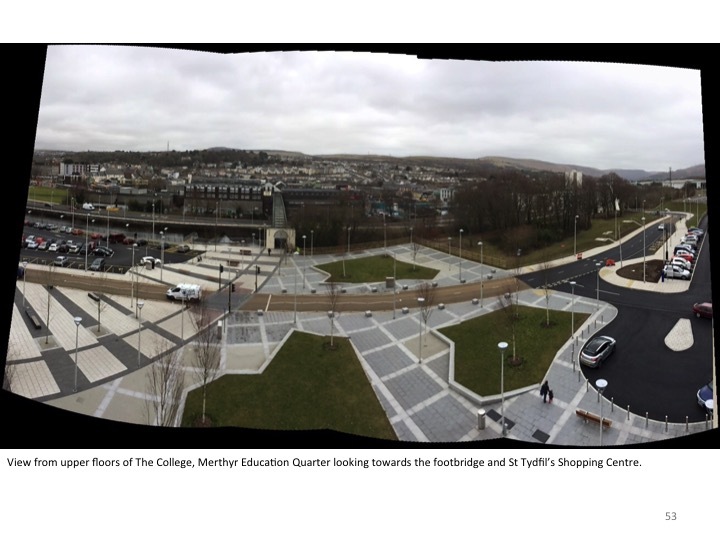 Merthyr Tydfil Bus Station Project. 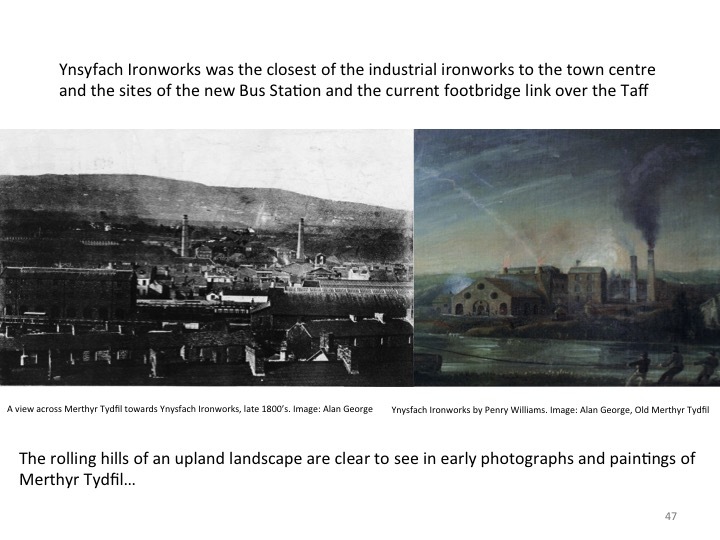 Archaeological Excavations of the Ynysfach Ironworks on the site of The College Merthyr Tydfil. 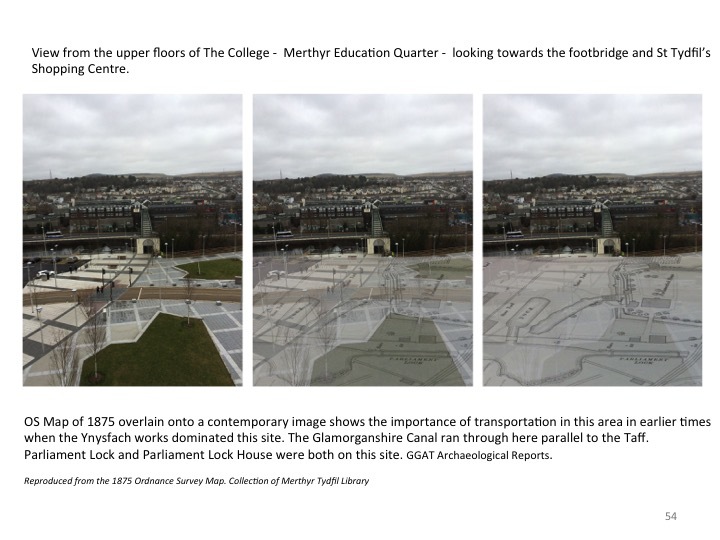 Image: By kind permission of Robert Imiolczyk, Head of Estates at The College, Merthyr Tydfil. The brick arched furnace on the far right can still be seen today behind the main college buildings. 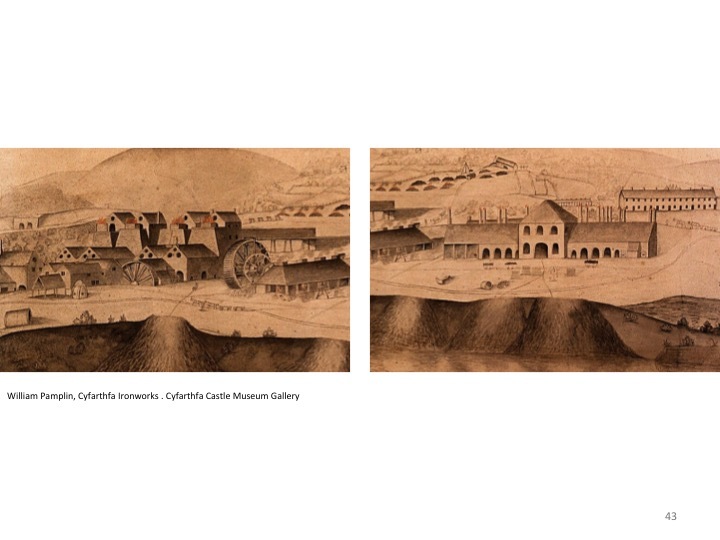 The image above shows the excavated Refinery Building. 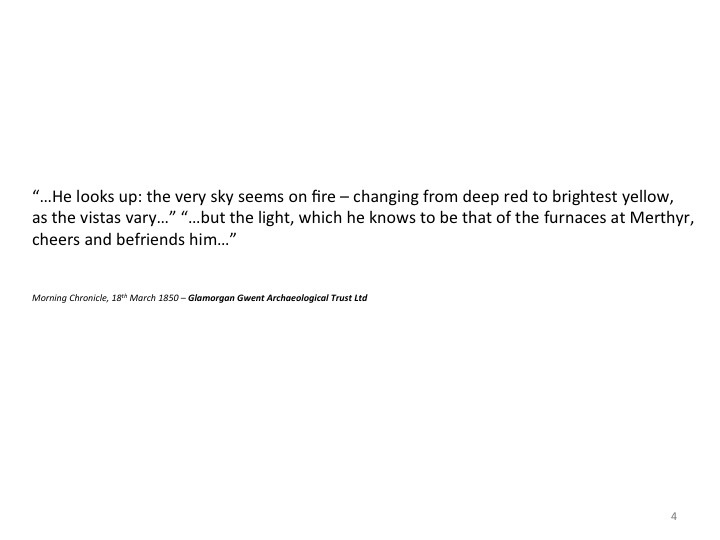 This description is provided by Richard Lewis, Head of Projects for GGAT, who managed the excavation programme. 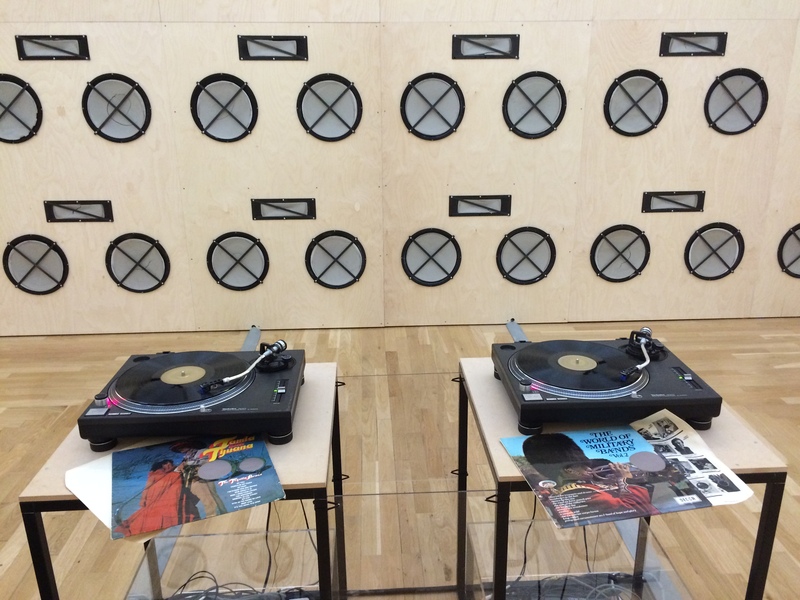 29th April 2015 – Before taking the train up to Merthyr, I stopped off in Cardiff to take a look at this exhibition at the National Museum Cardiff. 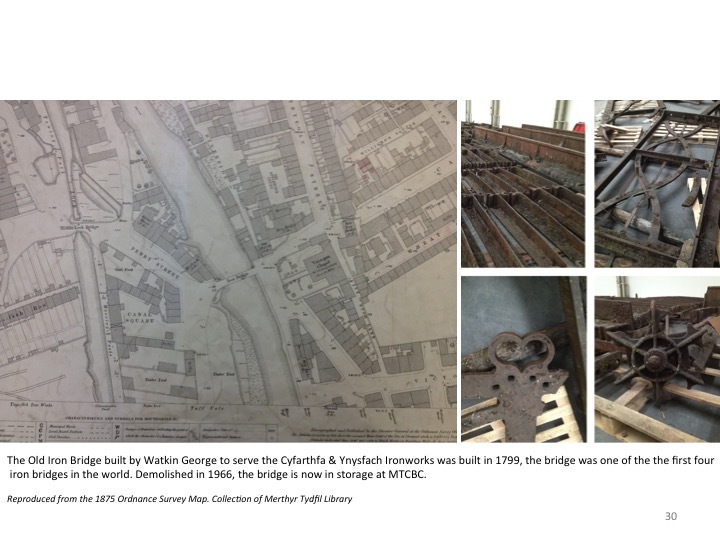 Well worth the diversion and a possible connection to our project for the new Bus Station. 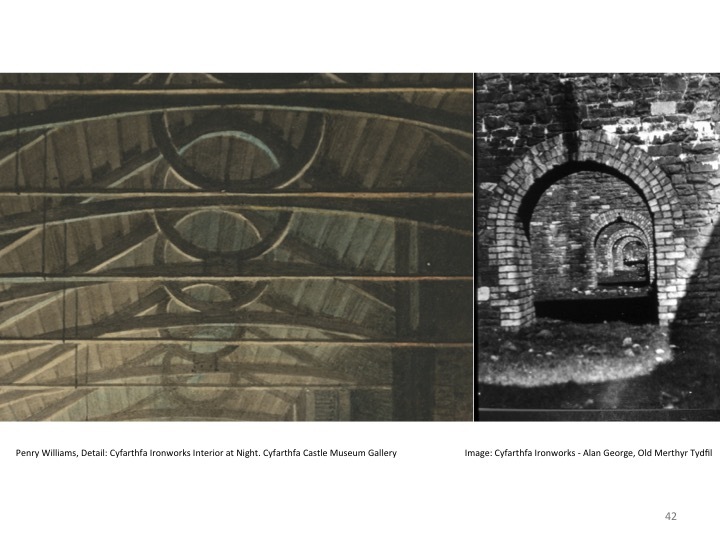 The exhibition includes key works from the collection of Amgueddfa Cymru – National Museum Wales, shown alongside major, exciting installations commissioned from Phoebe Cummings, Clare Twomey and Keith Harrison. 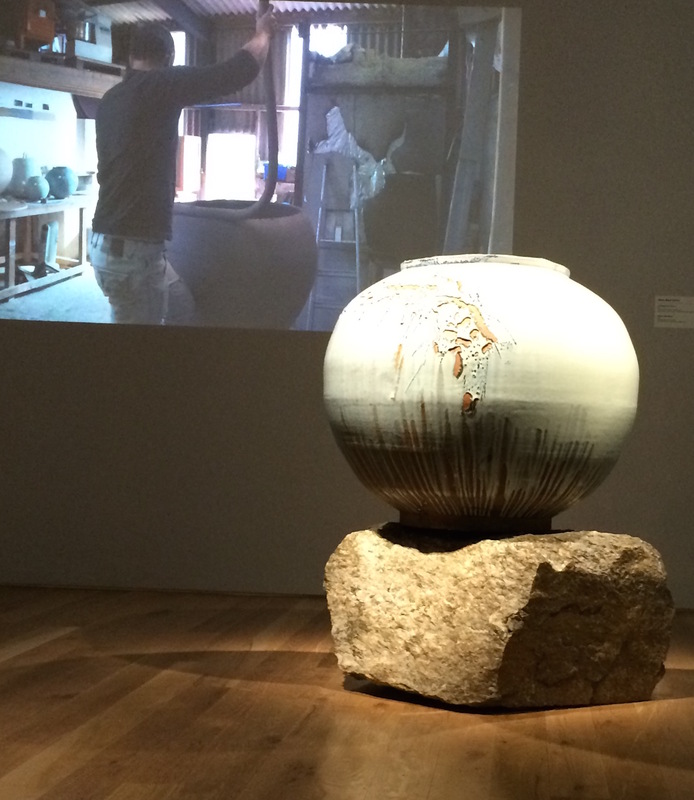 Ambitious new works by four Wales-based artists – Claire Curneen, Walter Keeler, Lowri Davies and Adam Buick – will be shown together with specially-commissioned films that will delve into each maker’s creative process. Fragile? is generously funded by The Colwinston Charitable Trust and supported by The Derek Williams Trust’. 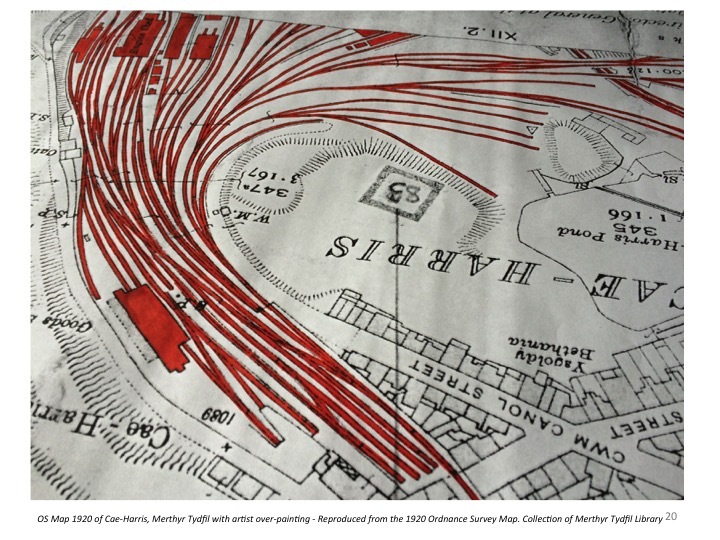 I have been thinking about the possibility of commissioning contemporary applied arts, made by craftspeople based in Wales for the Bus Station project. 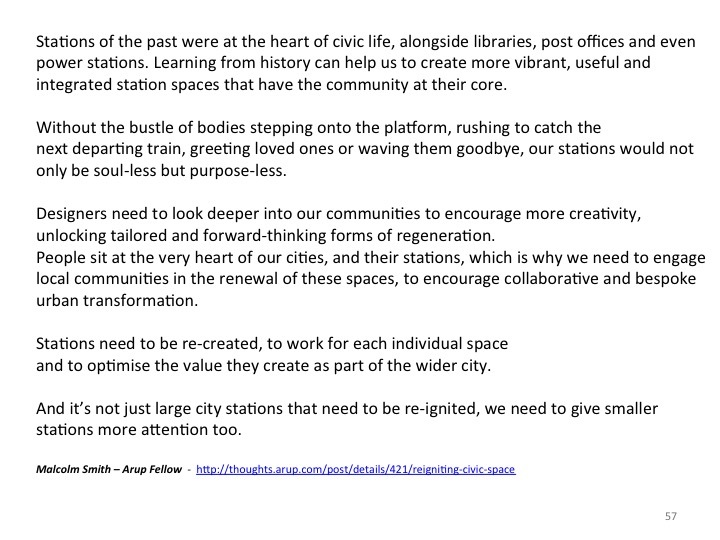 How I go about this at this time is uncertain, as we probably have no budget for this, but I can clearly see a place for individual works within our proposal and concept for the Bus Station as a community space, referencing the locality and legacy in a personal and highly skilled manner. 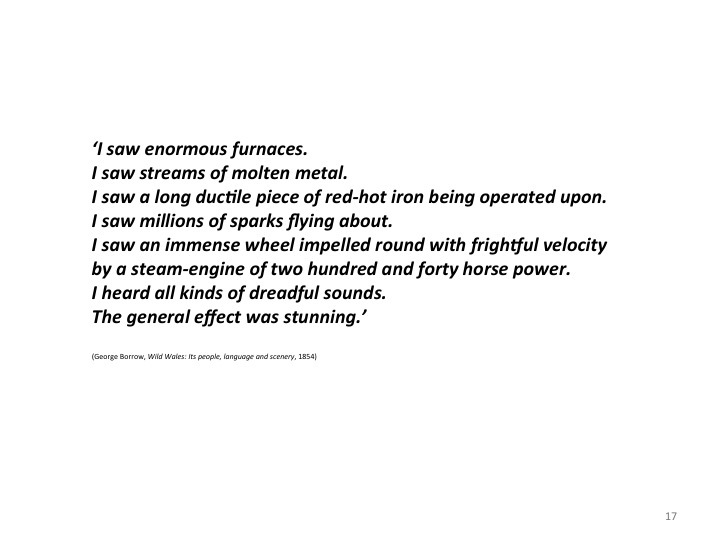 This reflects back to the skills and experience of former Ironworks employees and others from associated and parallel industries in the town. Adam Buick is an artist based in Pembrokeshire who references the varied landscapes of South Wales in his work. 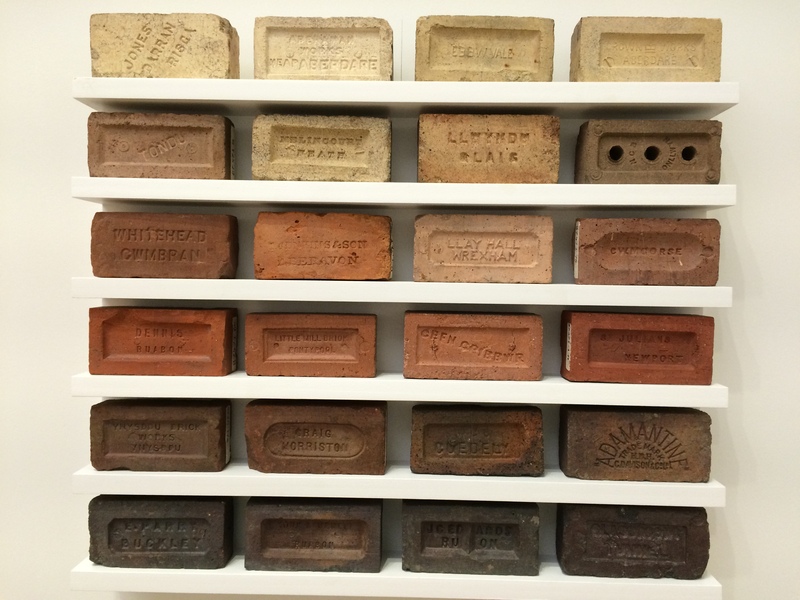 Thomas Town Brick & Tile Co. 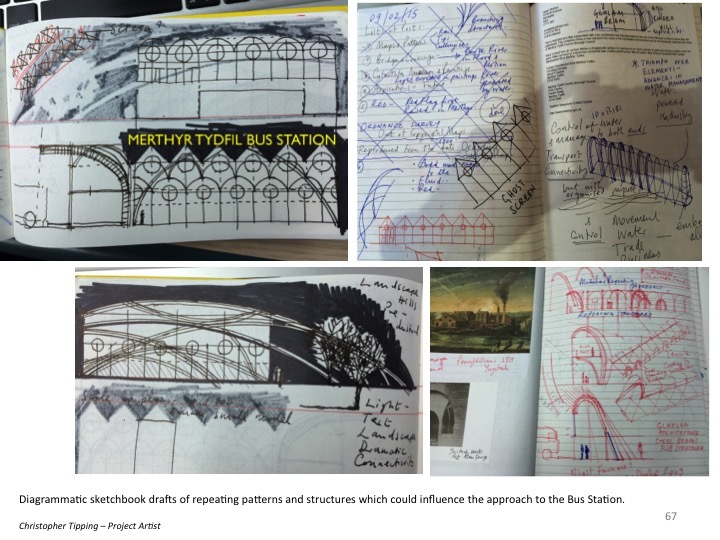 I have also been talking to Andrew Renton, Head of Applied Art at the National Museum of Art, Wales about collaborating in the discussion about commissioning contemporary applied art for the new Bus Station Building. 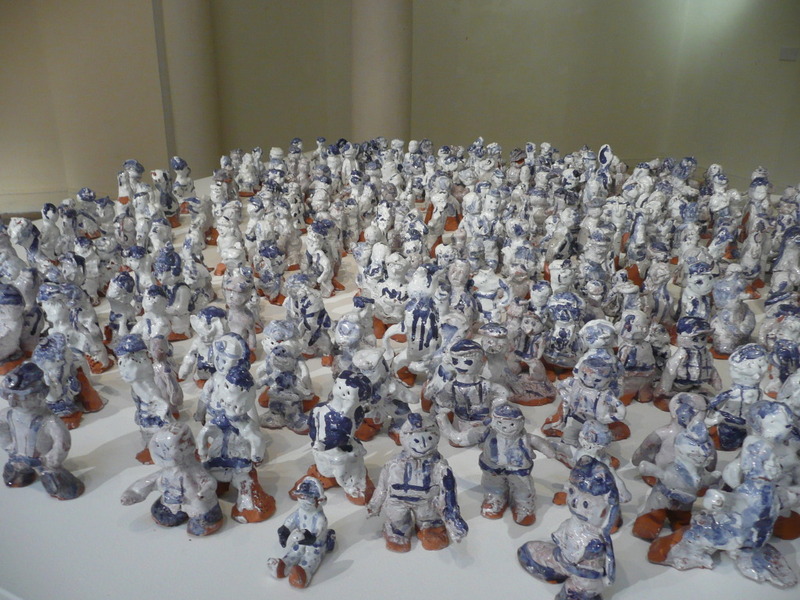 The historic ceramics collection is very impressive too. 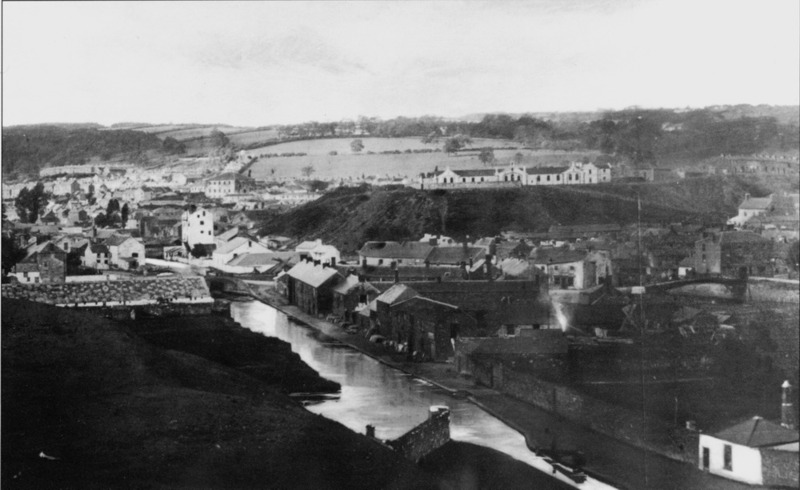 Wales had several important manufacturers of pottery and porcelain including Nantgarw and Cambrian. 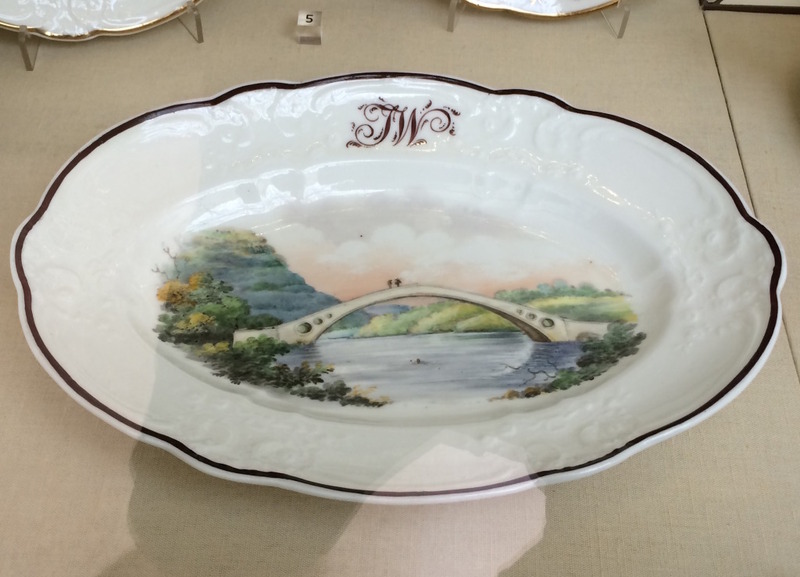 “Founded in Swansea in 1764, the Cambrian Pottery found success by imitating the high-quality pottery made fashionable by Josiah Wedgwood in Staffordshire. 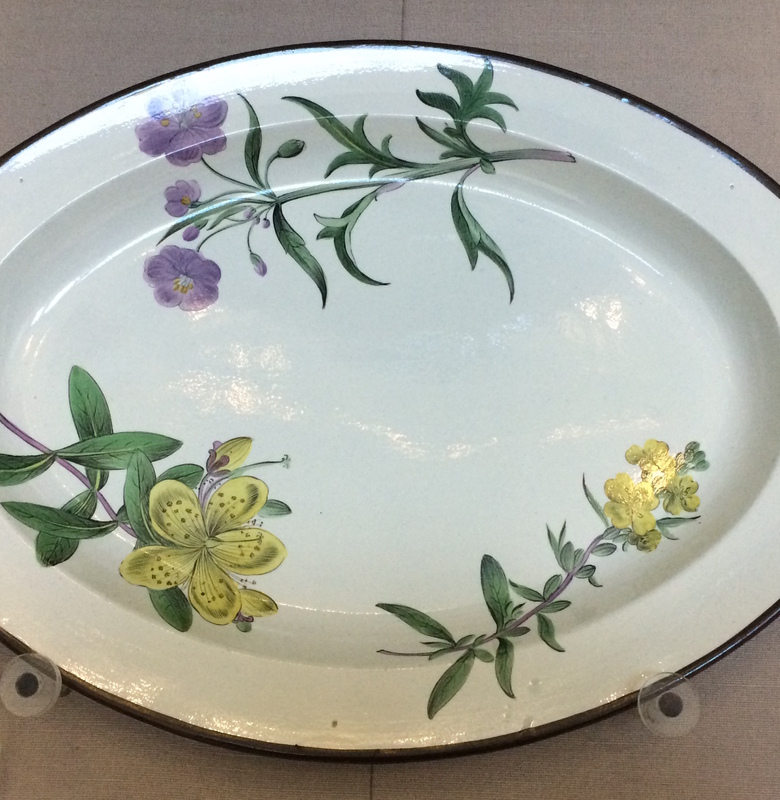 This included creamware, black basalt and pottery beautifully painted by artists like Thomas Pardoe. 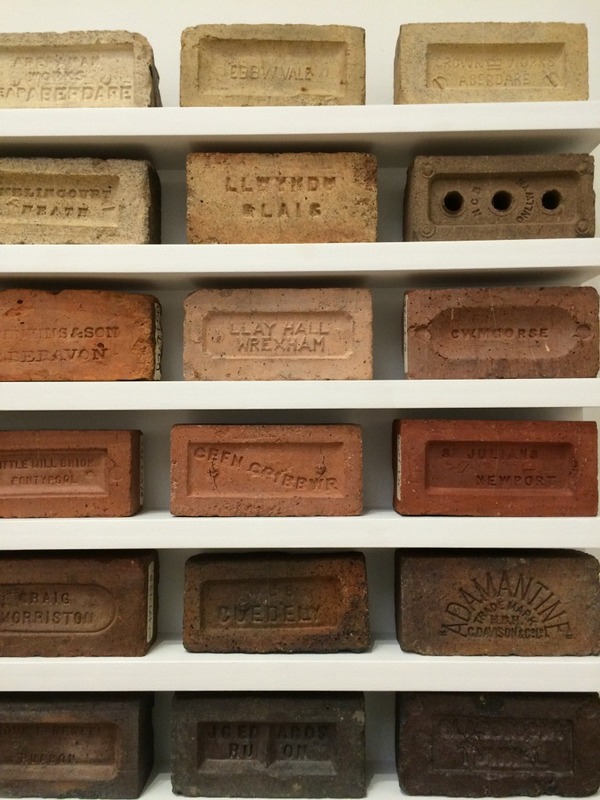 High standards were maintained after 1802, when Lewis Weston Dillwyn took over the pottery. 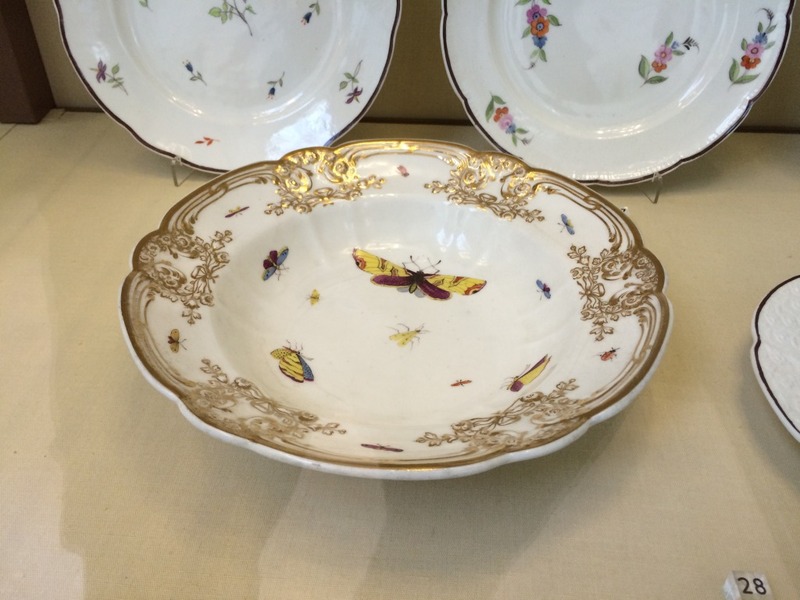 The porcelain made between 1813 and 1826 at Nantgarw near Cardiff and at the Cambrian Pottery in Swansea is some of the most beautiful ever produced. 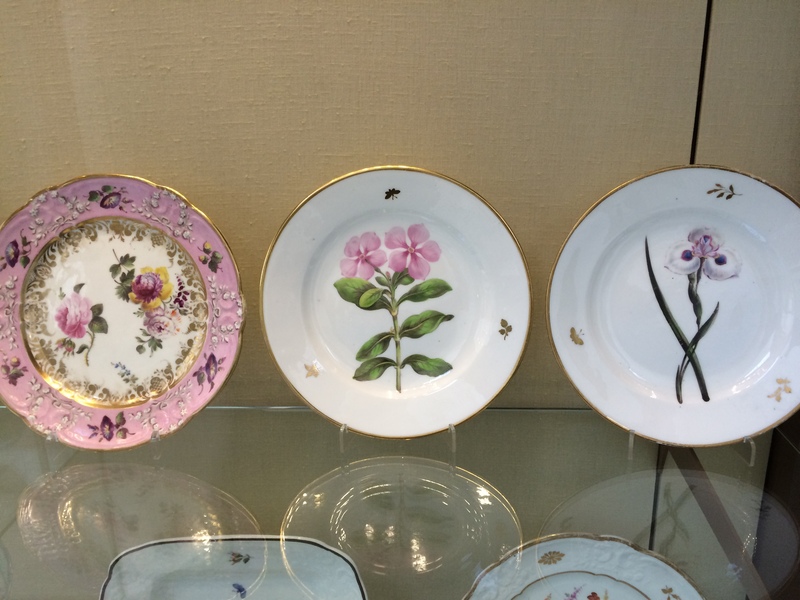 The man behind it was William Billingsley, a porcelain painter by training. 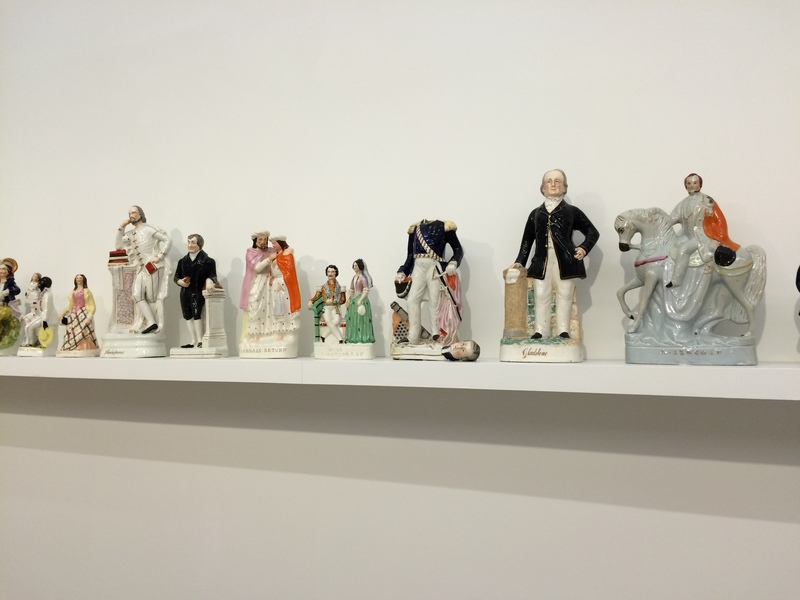 From 1814 to 1817 he helped Dillwyn make porcelain at Swansea, before returning to Nantgarw in 1818 to make it himself. 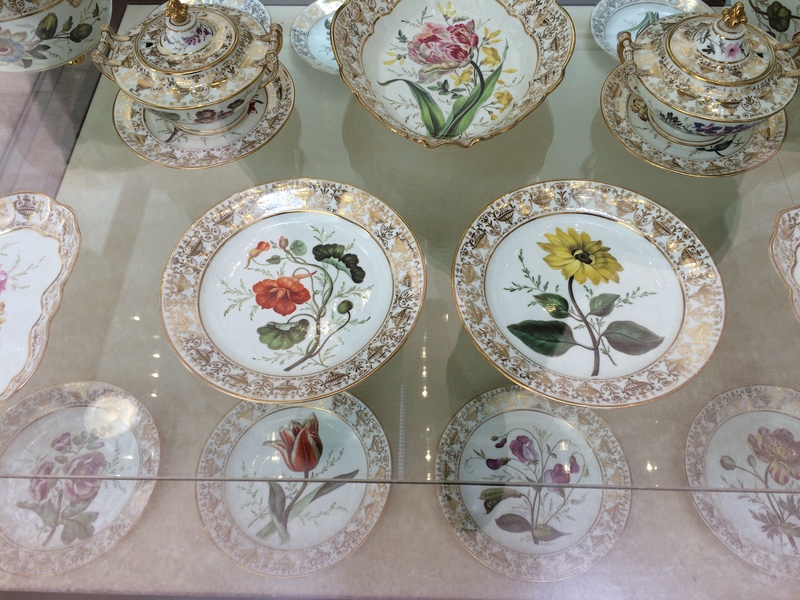 Some Swansea porcelain and most Nantgarw porcelain were sent to London for decoration and sale to the top end of the market. 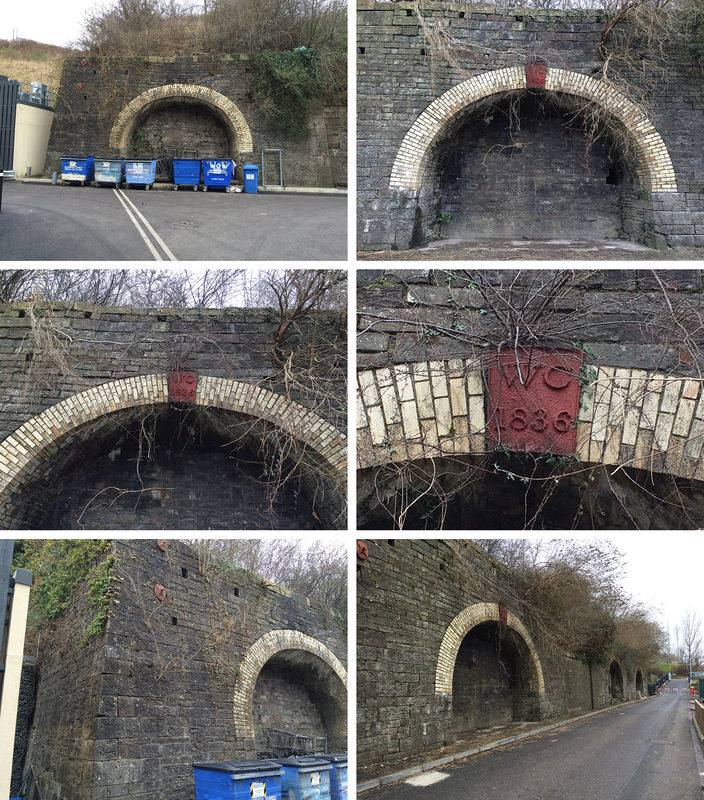 The rest were decorated locally, until 1826 in Swansea and until 1823 at Nantgarw. 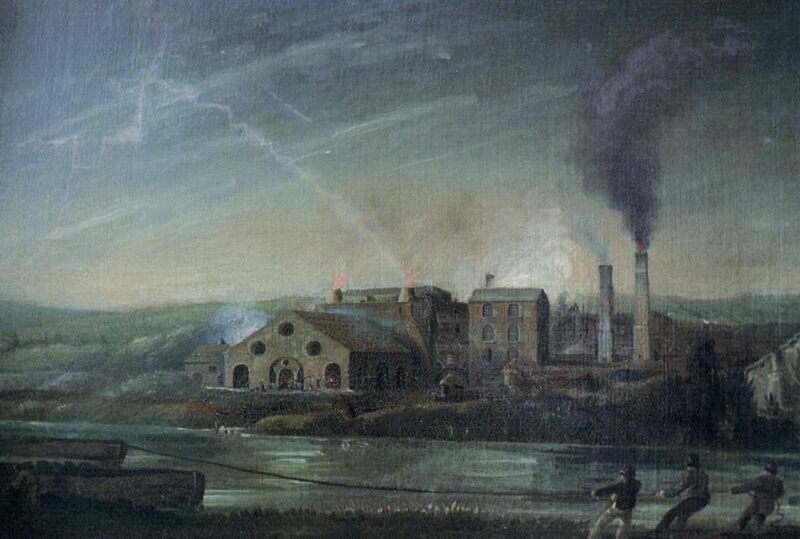 Pottery continued to be made in Swansea at the Glamorgan Pottery (1813-1838) and at the Cambrian Pottery, which closed in 1870. 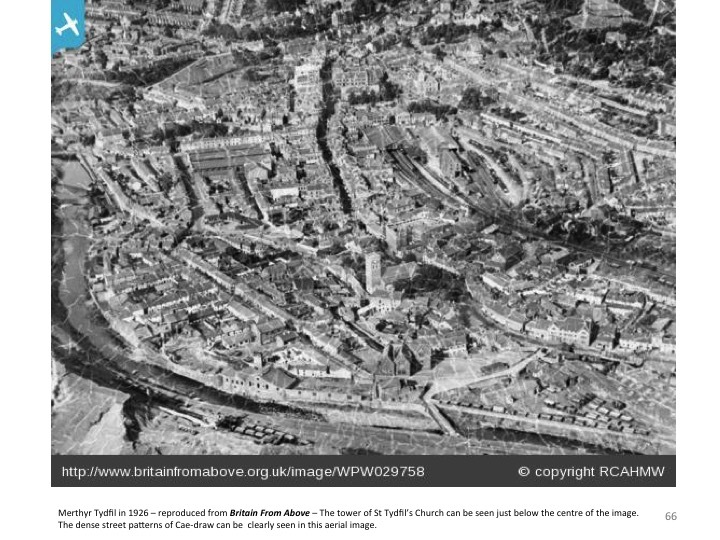 Llanelli’s South Wales Pottery was the only significant pottery left in south Wales until it too had to close in 1922. 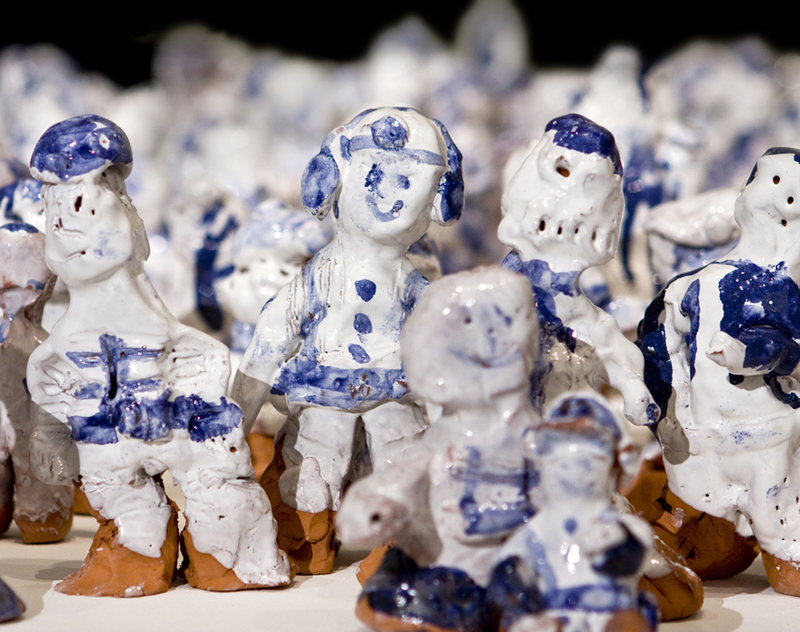 The story of Welsh pottery and porcelain is told in the Joseph Gallery. 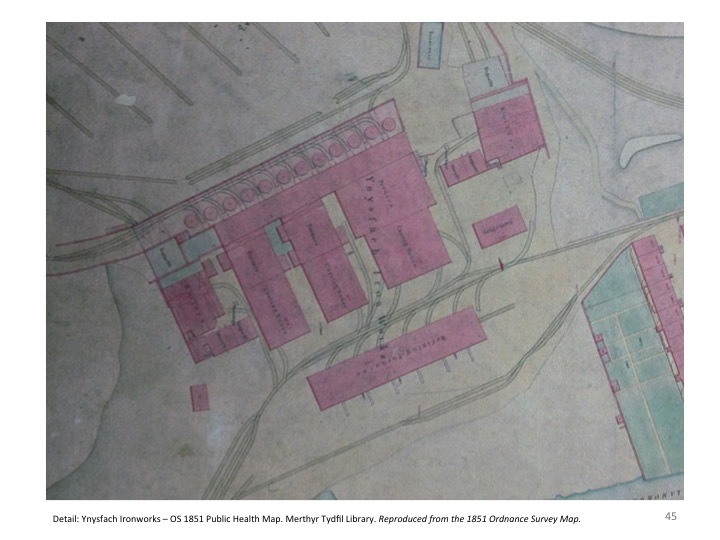 The site of the Nantgarw China Works is now a museum, a few miles north of Cardiff.” National Museum Wales, Cardiff. 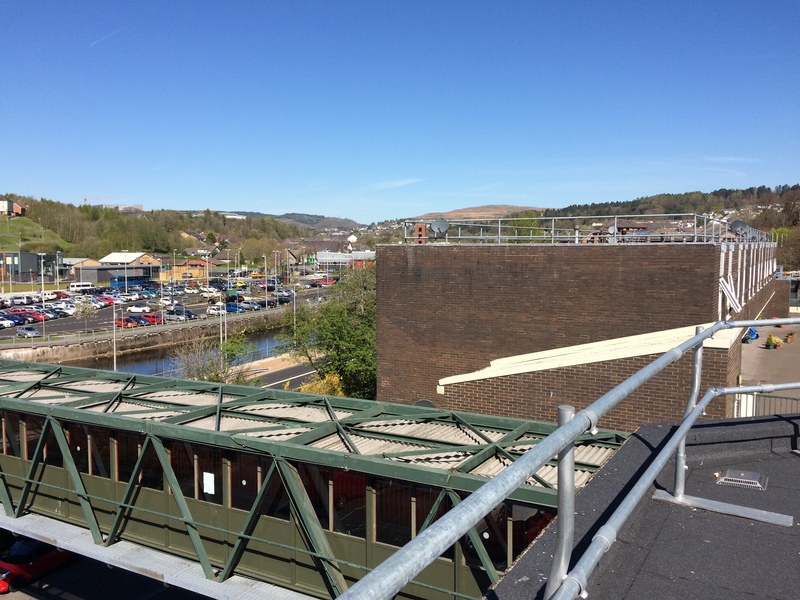 St Tydfil’s Shopping Centre – I had the opportunity to get up on Wilkinson’s roof for an amazing 360 degree panoramic view of Merthyr and the surrounding hills. Nick Megor, the Shopping Centre Manager accompanied after gaining permission from Wilkinson’s Store Manager. 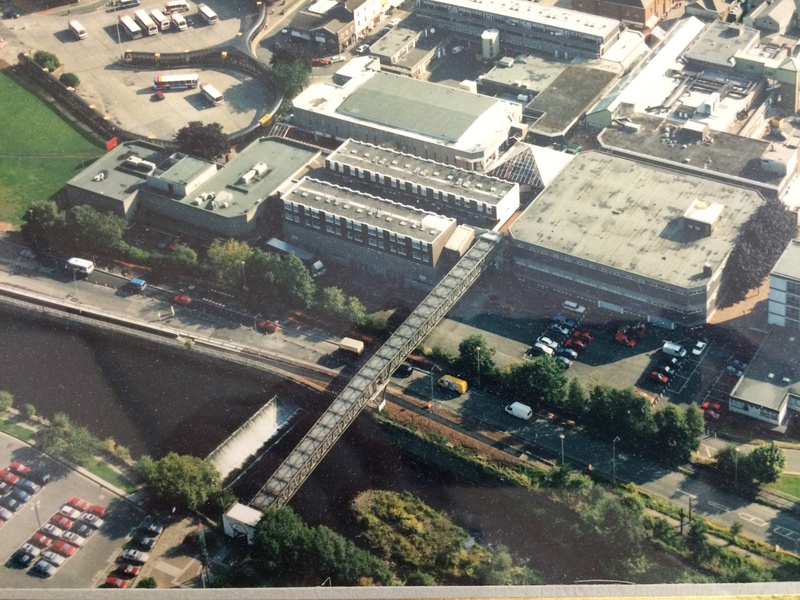 Nick also had a collection of aerial photographs of the local area probably taken in the late 1970’s / early 1980’s and during construction in the mid 1960’s of the pedestrian bridge linking the west side of the Taff to the east and the new – as then – shopping centre. 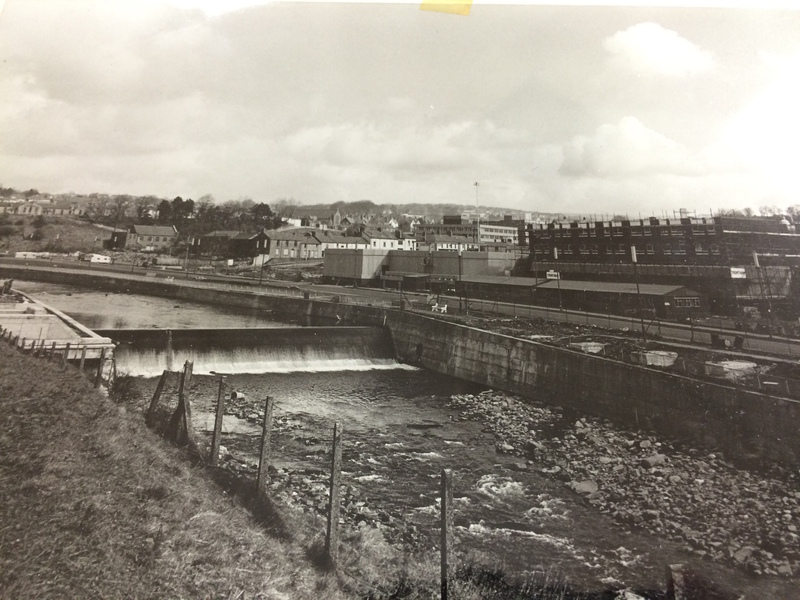 Looking North East across Merthyr Tydfil Town Centre, circa 1960’s showing the St Tydfil’s Link Bridge under construction across the Taff. The bridge was installed just below the weir. Image: by kind permission of St Tydfil’s Shopping Centre Manager. 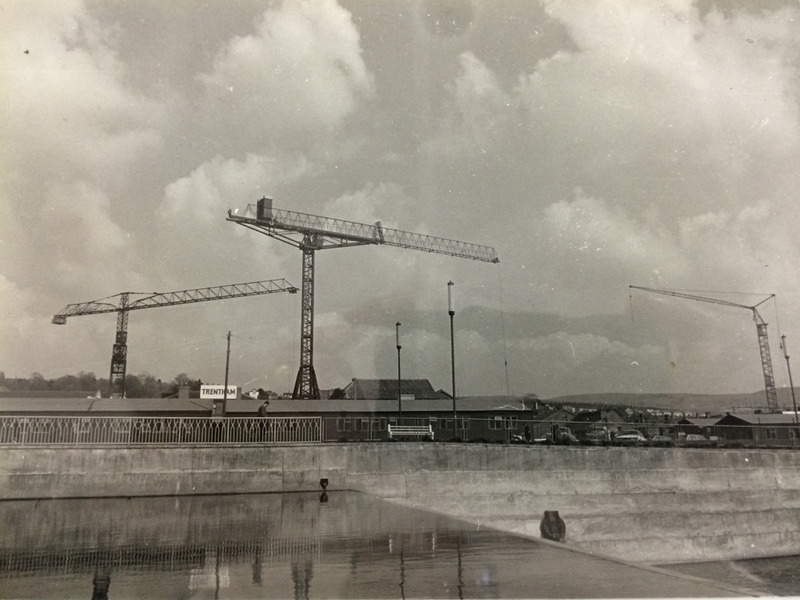 Looking North East across Merthyr Tydfil Town Centre, circa 1960’s showing the cranes involved in the construction of the St Tydfil’s Shopping Centre. Image: by kind permission of St Tydfil’s Shopping Centre Manager. 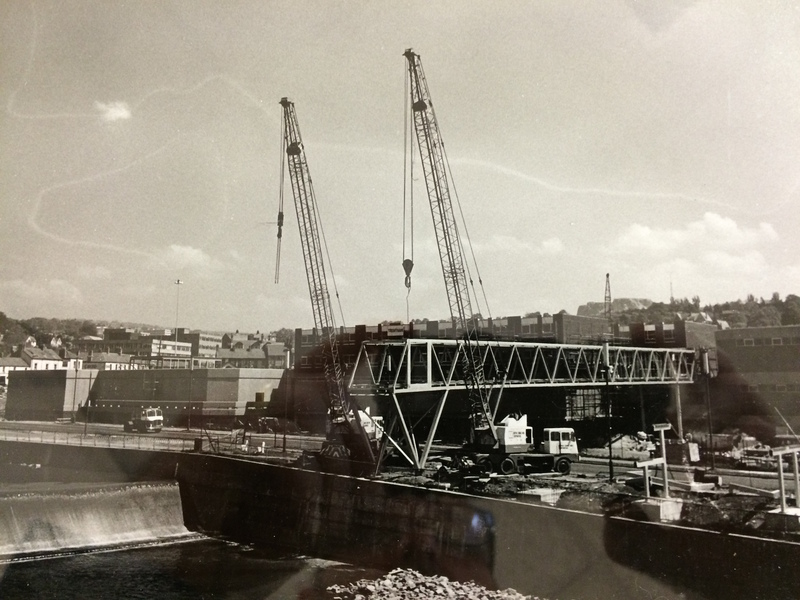 Merthyr Tydfil Town Centre, circa 1960’s showing the St Tydfil’s Link Bridge under construction across the Taff. 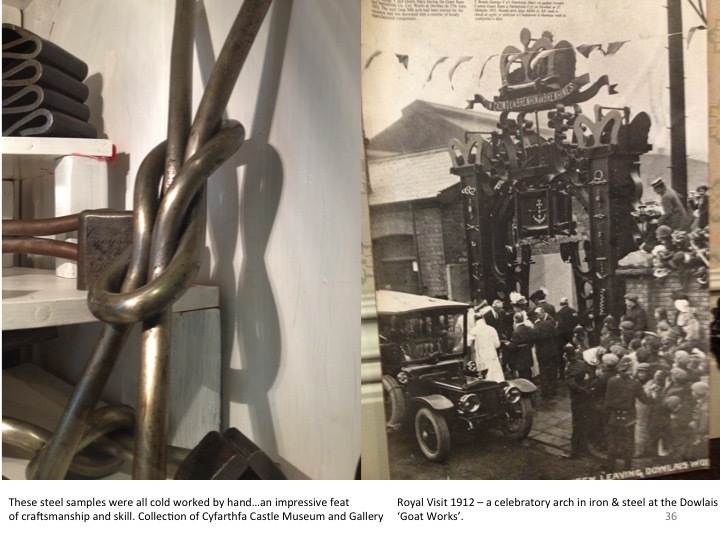 Image: by kind permission of St Tydfil’s Shopping Centre Manager. 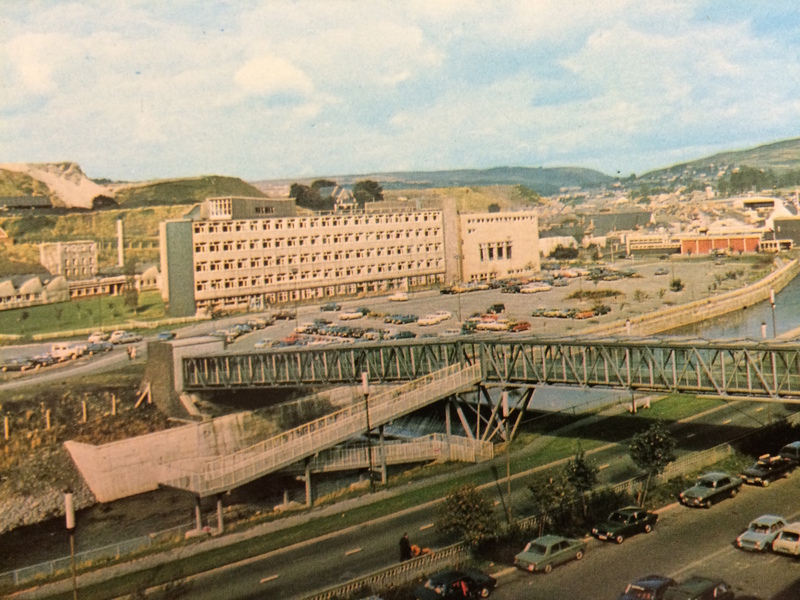 Postcard image looking North West across the Taff towards the FE College, circa late 1960’s showing the now dismantled arm of the St Tydfil’s Shopping Centre footbridge. Image: by kind permission of St Tydfil’s Shopping Centre Manager. 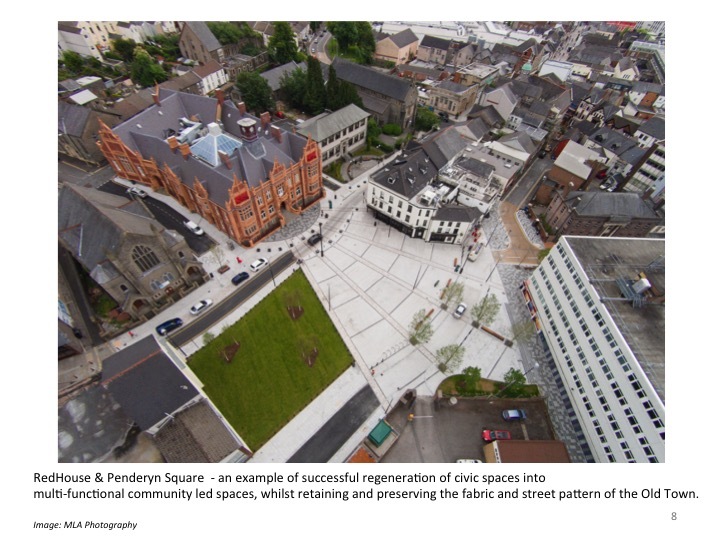 Merthyr Tydfil Town Centre, circa 1980. 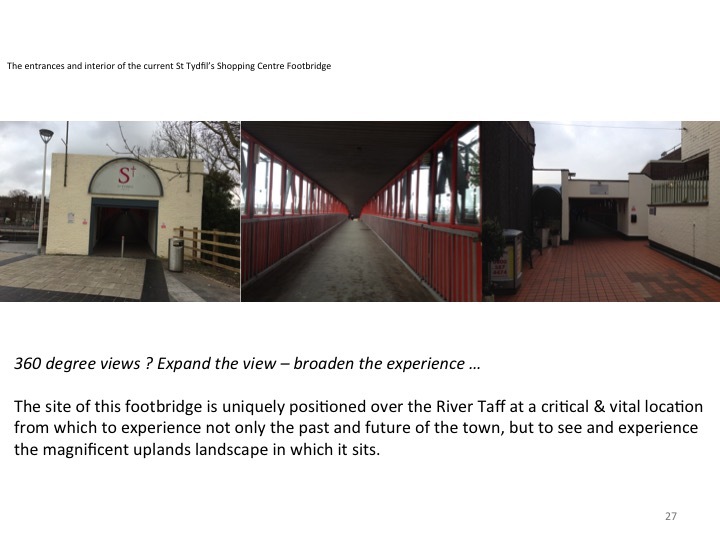 Image: By permission of St Tydfil’s Shopping Centre Manager. 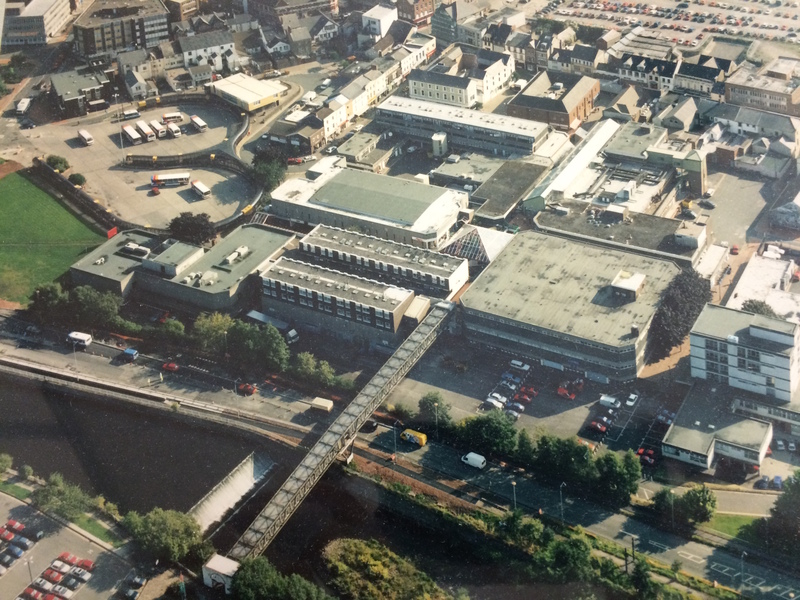 Merthyr Tydfil Town Centre, circa 1980 showing the pedestrian link bridge across the River Taff. 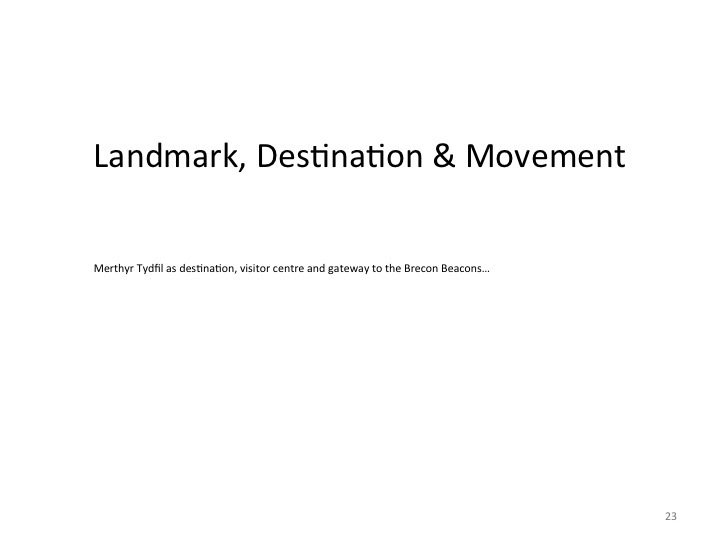 Image: By permission of St Tydfil’s Shopping Centre Manager. 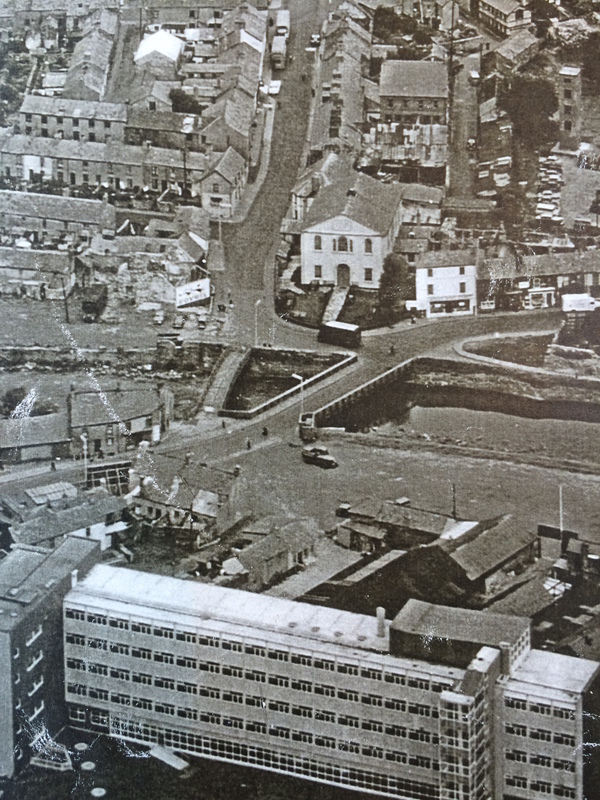 At the top left of this image can be seen the Merthyr Tydfil Bus Station – which is now on the move to a new site just out of shot here on the far right of this image on Swan Street. 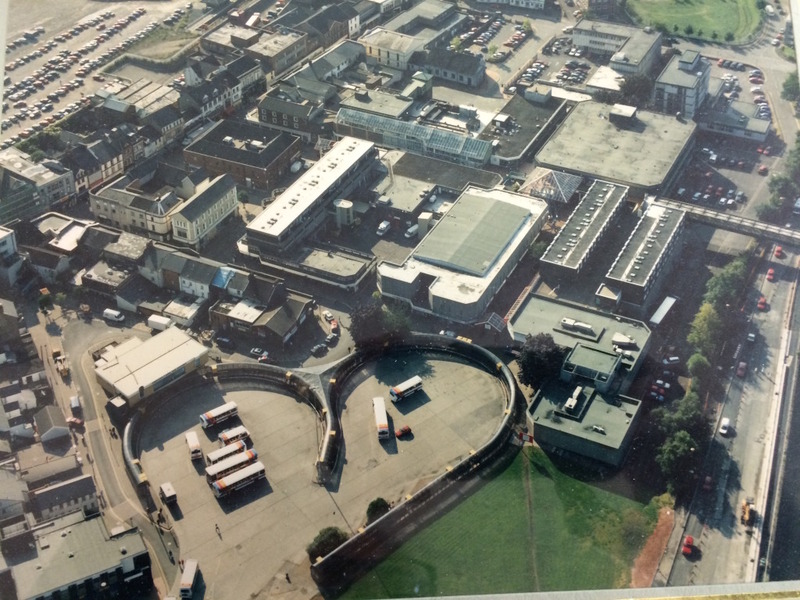 Merthyr Tydfil Town Centre, circa 1980 showing the Bus Station at the bottom and the site of the new Bus Station at the very top. 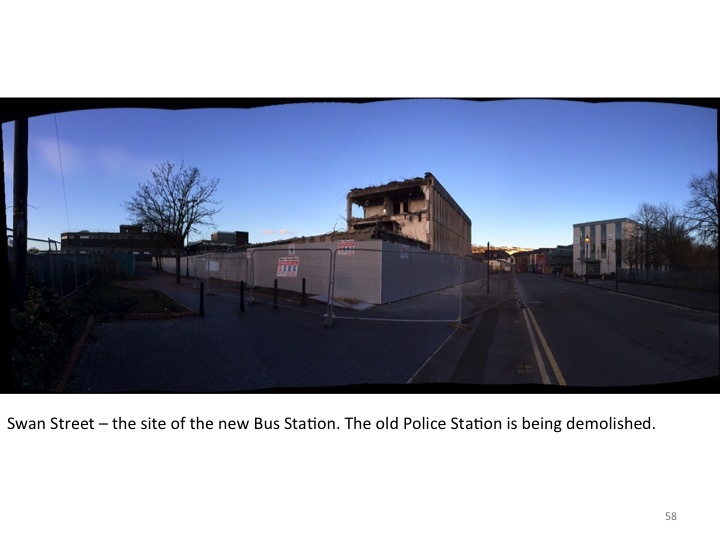 Image: By permission of St Tydfil’s Shopping Centre Manager. 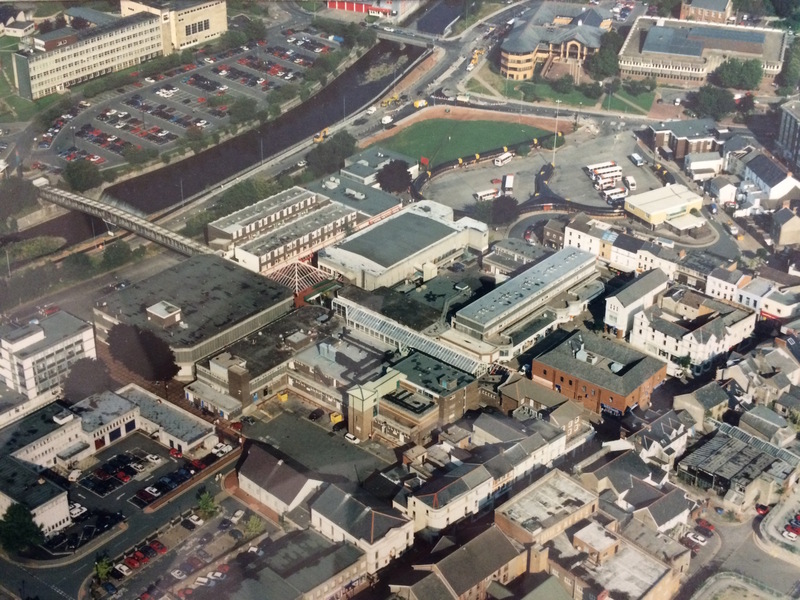 Merthyr Tydfil Town Centre, circa 1980 showing the Bus Station at the far left and the site of the new Bus Station just out of shot on the far right. 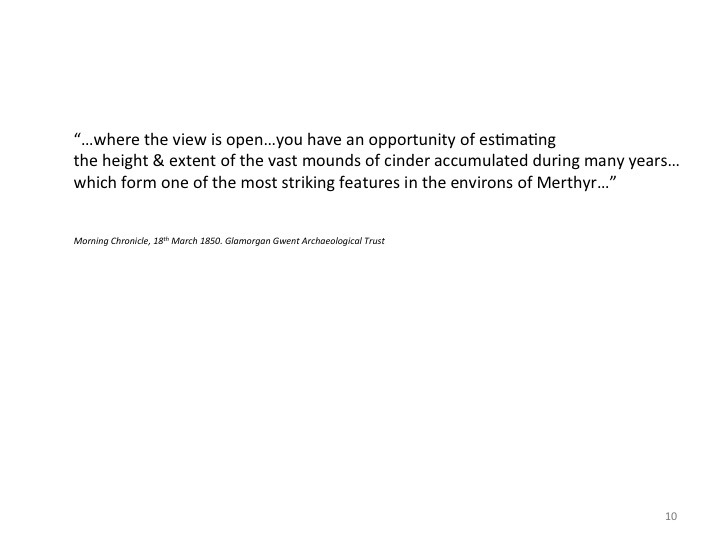 Image: By permission of St Tydfil’s Shopping Centre Manager. 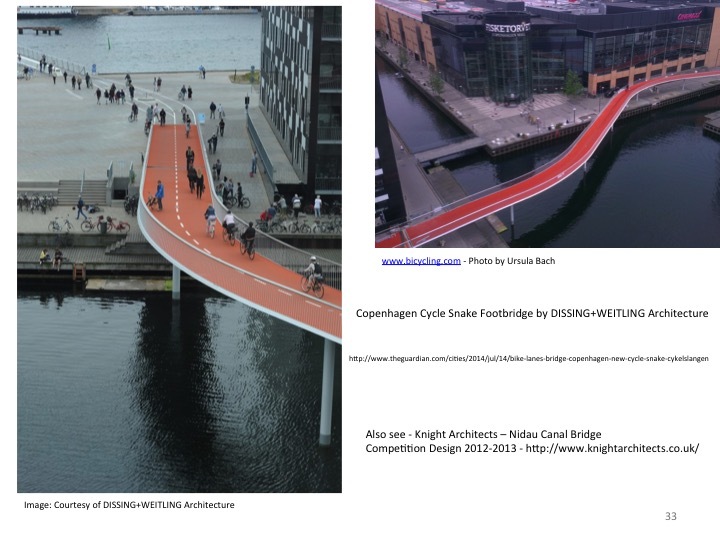 On 5th March 2015, I made a presentation to the Bus Station Stakeholders Meeting of current contextual research in relation to the Bus Station project and the Link Bridge Study. I have credited all sources of information and am grateful to all organisations and individuals who have assisted me thus far. Where permissions to use images have not been possible, these images have been withdrawn from posting online. 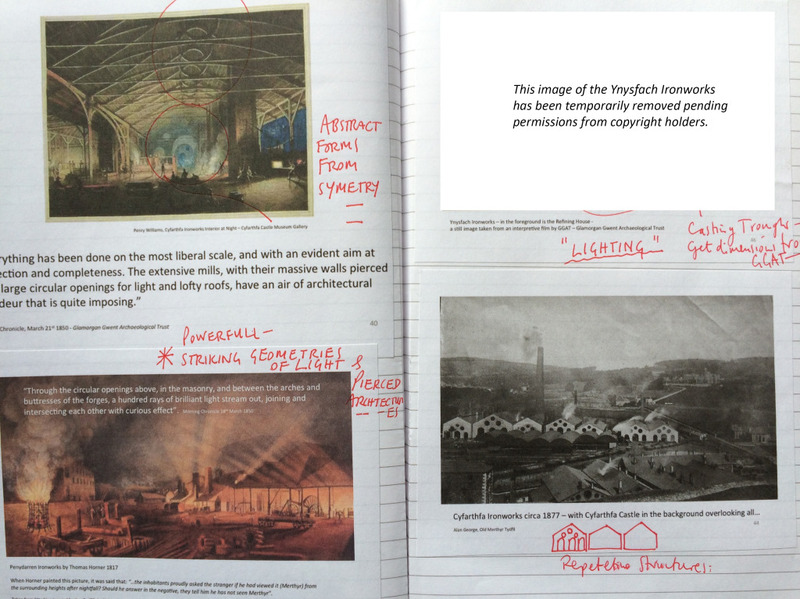 Where Ordnance Survey Maps have been used, they are all out of copyright, however, I have added a credit – ‘Reproduced from the …date… Ordnance Survey Map’, which the Ordnance Survey suggest on their website. 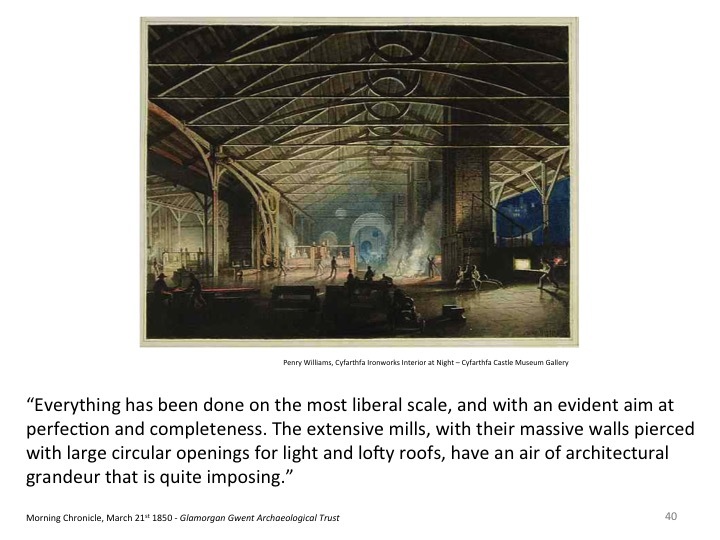 12th February 2015 – Meeting at the restored Ynysfach Engine House. 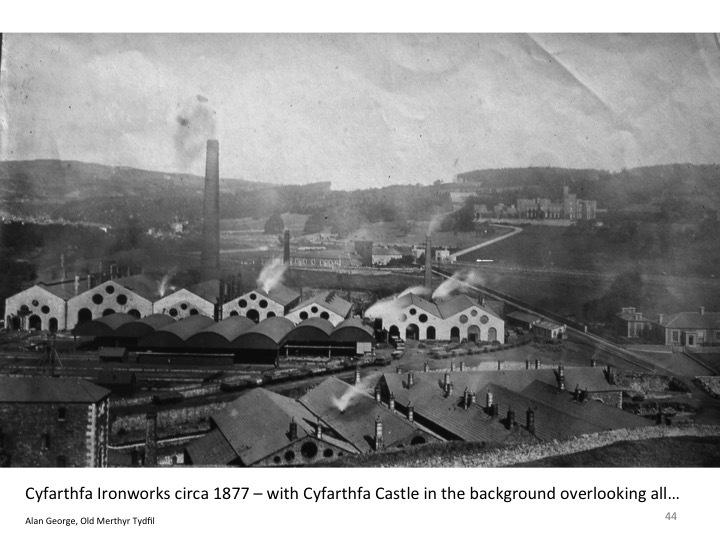 The Engine House was one of a pair of Engine Houses on the Ynysfach Ironworks site. 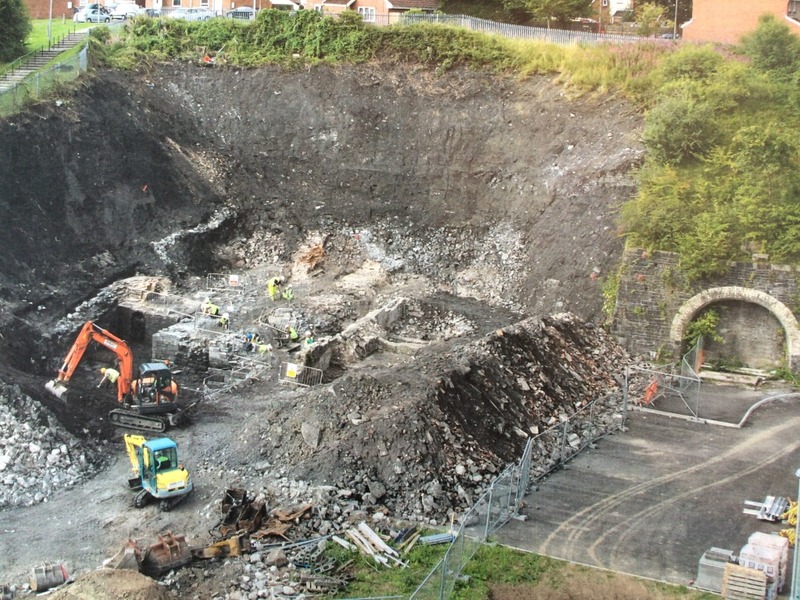 ‘The Glamorgan-Gwent Archaeological Trust Ltd undertook investigations at Merthyr Tydfil College, on the site of the former Ynysfach Ironworks, which began in August 2011 and were completed by January 2012. 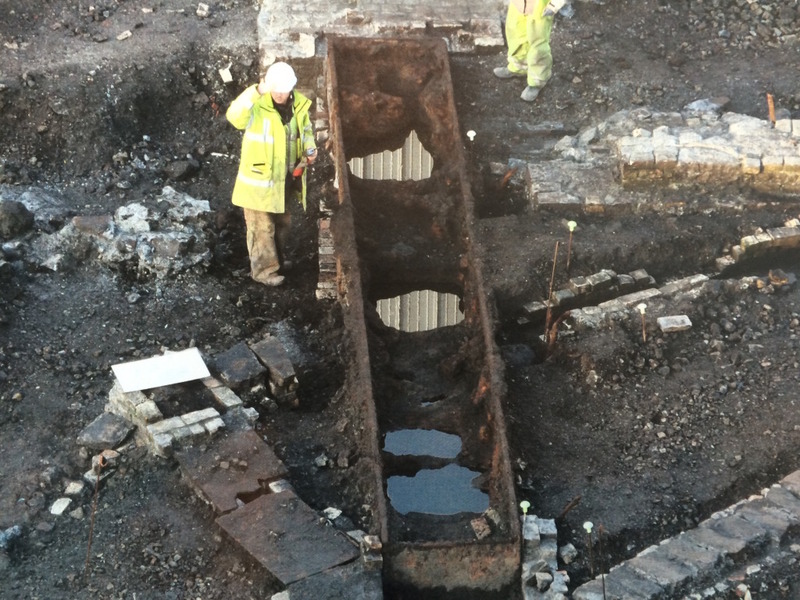 Archaeologists from the Trust excavated and recorded structures belonging to the former ironworks, which had survived unexpectedly well, buried underneath the college buildings’. 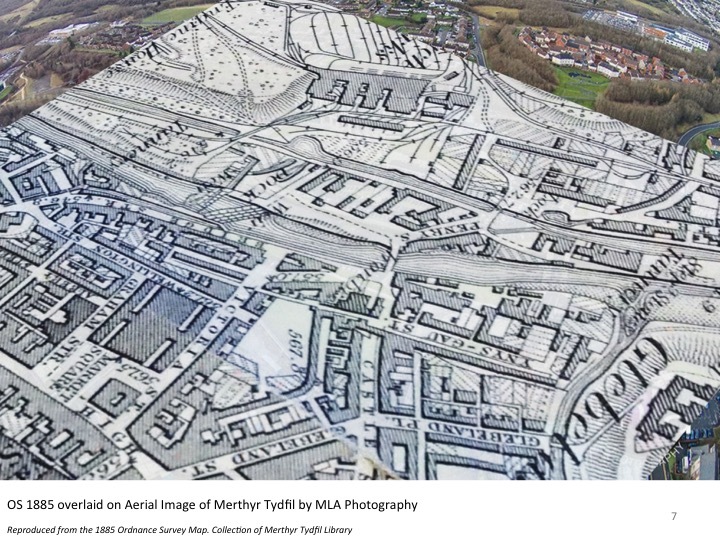 To see the amazing animated 3D reconstruction of the site. produced as part of the interpretation for the project, press on this link. 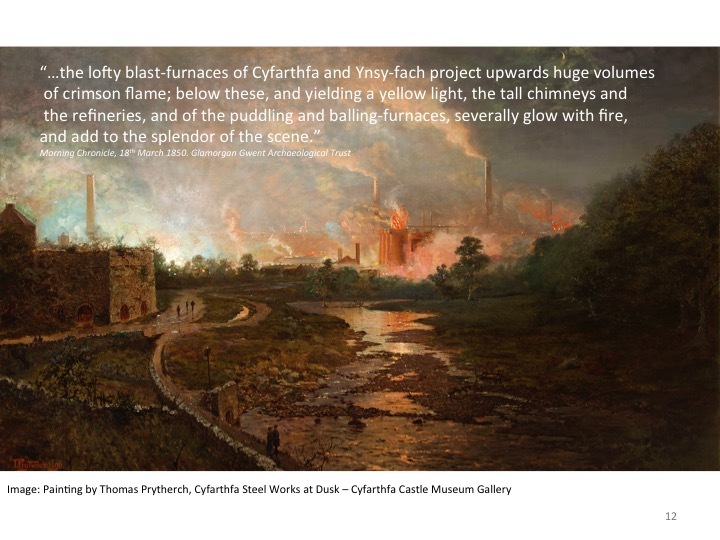 A permanent exhibition of this project can be seen at The College, Merthyr Tydfil, which is built upon this site. 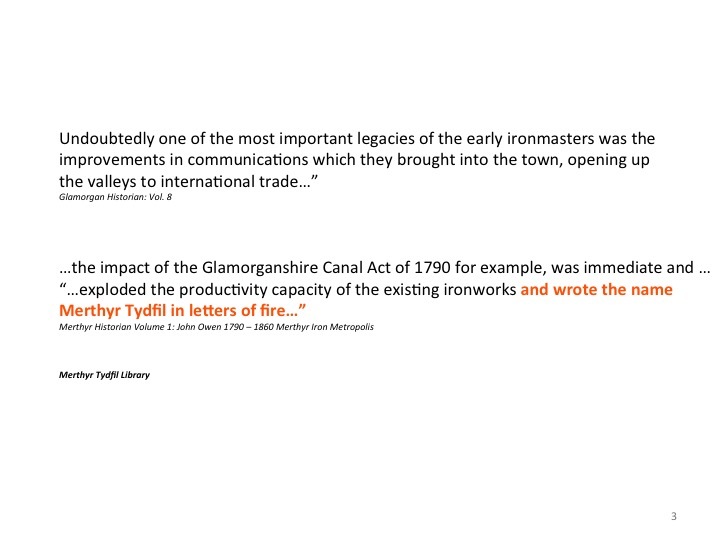 I met withSteve Brewer & Ceinwen Statter , members of the Merthyr Tydfil Historical Society, who operate out of the recently restored Engine House of the former Ynysfach Iron Works. 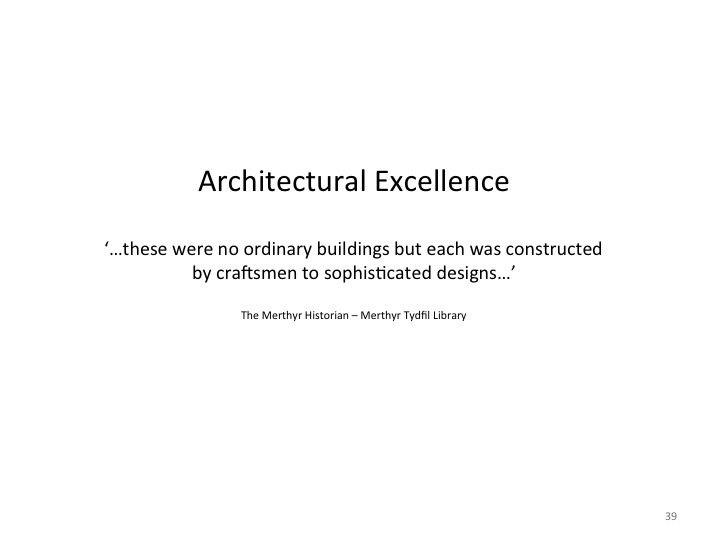 Mary Owen – Author of book on the New Rectory of Merthyr Tydfil, was mentioned as someone who may have some insight on Swan Street history. 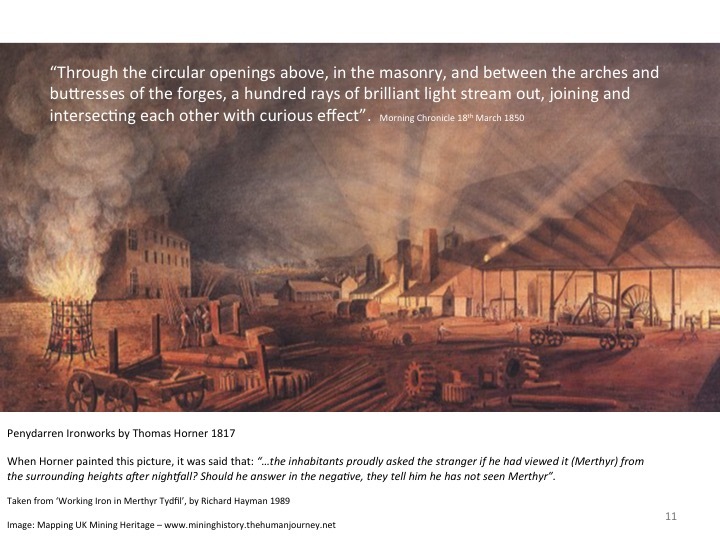 Clive Thomas, the author of a history of Cae-Draw School, was also mentioned. 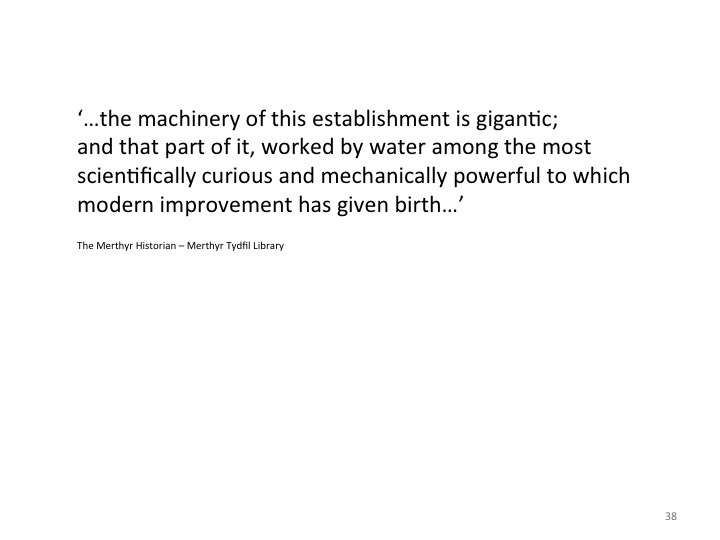 The Merthyr Tydfil Historical Society also publish the Merthyr Historian, which is a 26 Volume history of the town from every source possible. 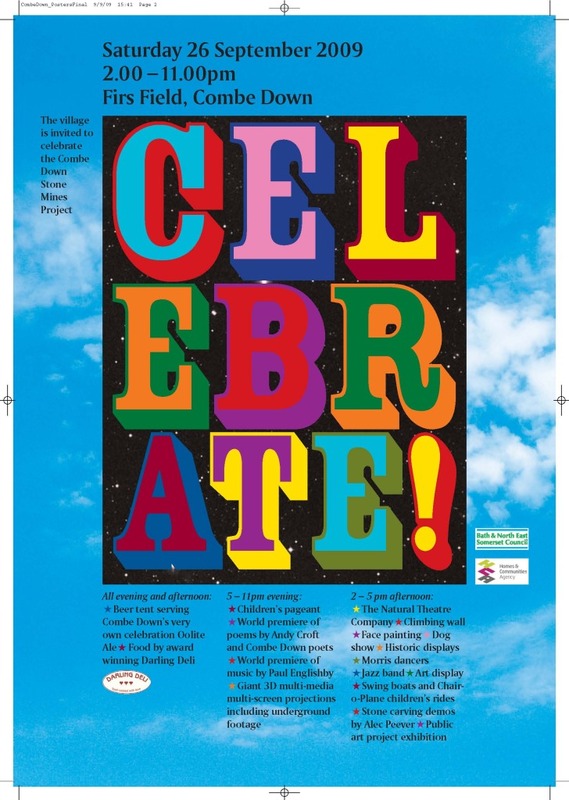 Published from 1976 to the present, it has some engaging and surprising stories, records & contributory essays and images from many individuals. A great resource document ! A set of these publications is available in the Merthyr Tydfil Library. 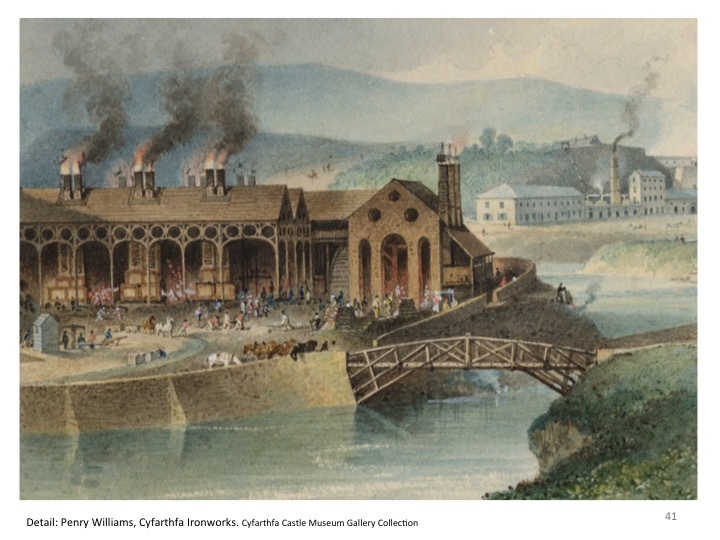 Ynysfach Ironworks by Penry Williams, 1819. 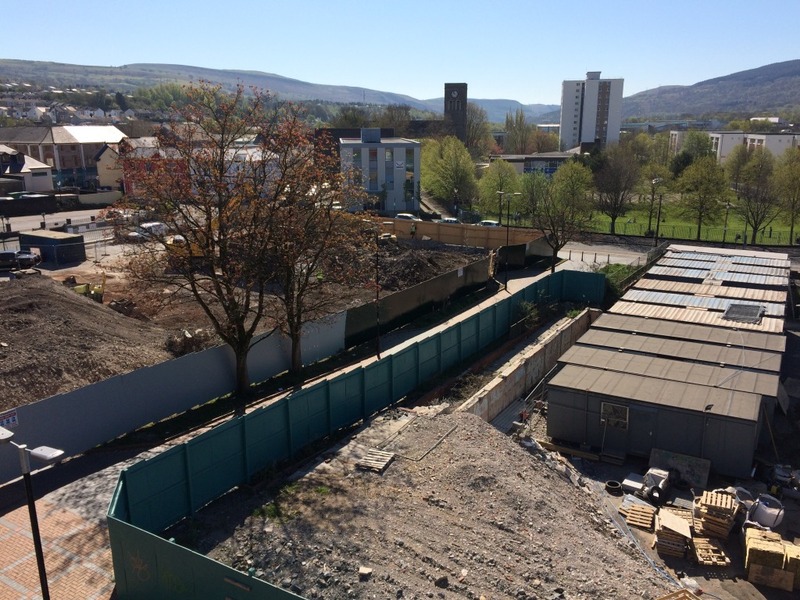 The site of the former Ironworks is now mostly occupied by The College, Merthyr Tydfil, the original ironworks being demolished and lost before and during the 1960’s. 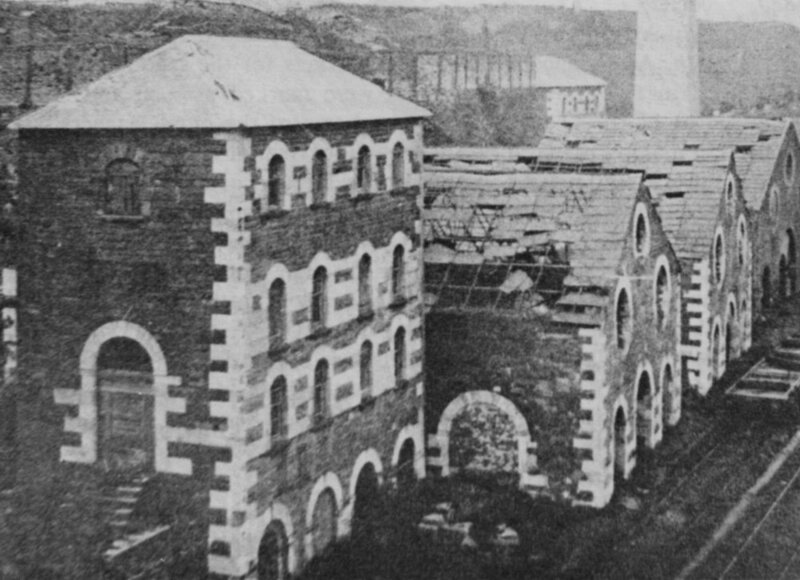 The ruins of Ynysfach Iron Works prior to demolition. 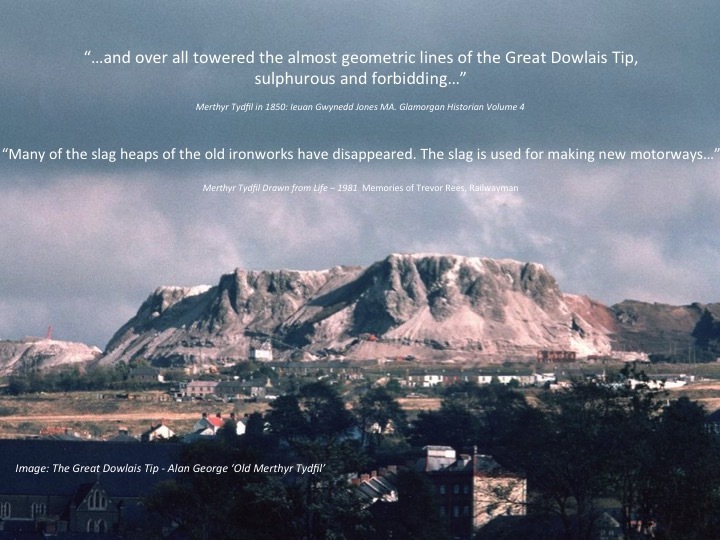 Alan George, a local historian who’s website ‘Old Merthyr Tydfil‘ is a brilliant repository of old images of the town and a fantastic resource, also attended the meeting. 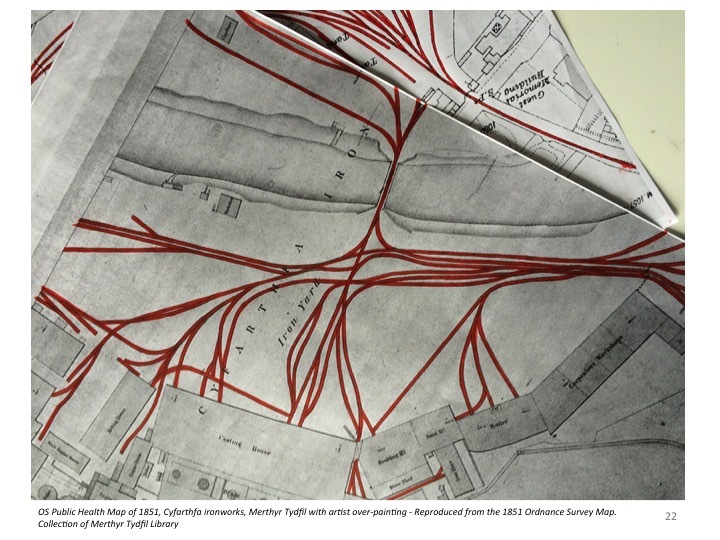 We discussed the site specific history of the new Bus Station site on Swan Street and references to a building called ‘The Rectory’, which is show on old OS Maps, but is not referred to in any written text I can find. 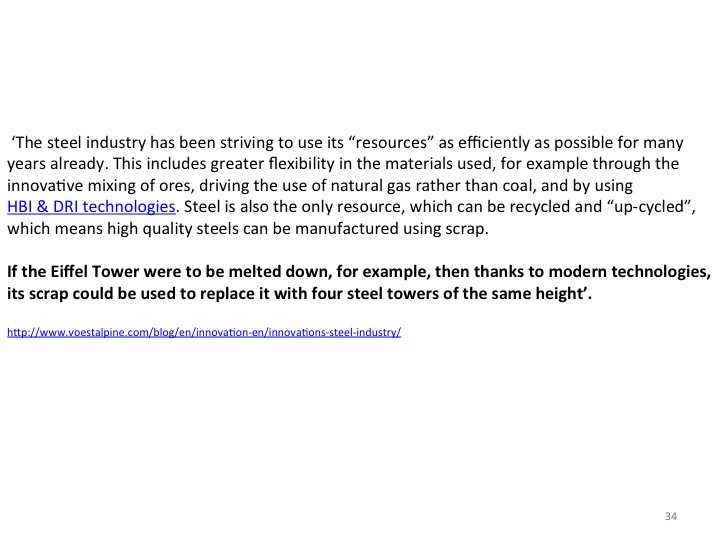 Alan and his colleagues are assisting in researching this. 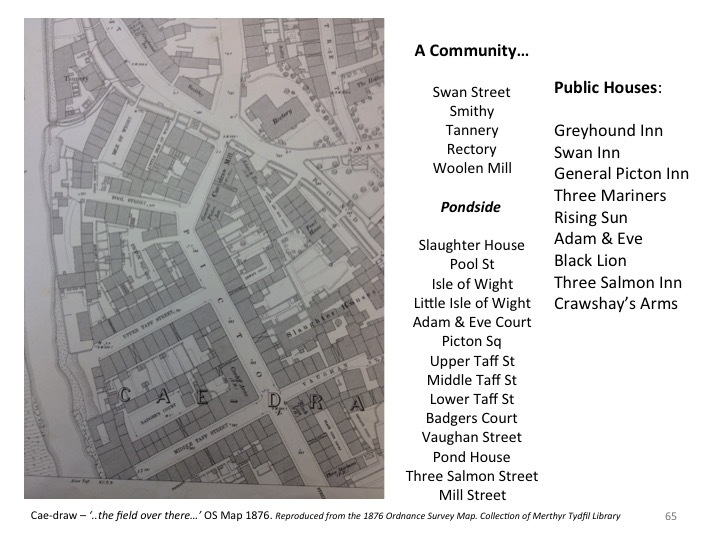 The wider area around Swan Street is also rich in history and community, which needs to be addressed in this contextual study. 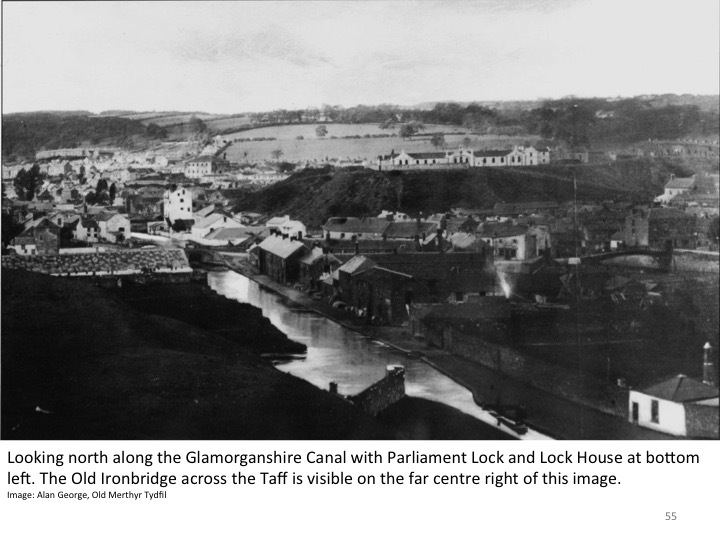 Parliament Lock Gate and House is in the bottom right foreground of this image of the Glamorganshire Canal. 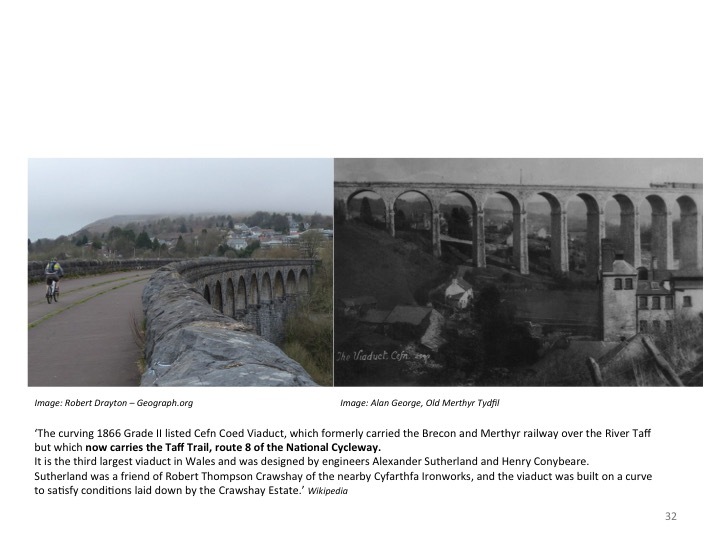 The bridge, seen at the middle far right of this image, is the Ynysgau Iron Bridge across the River Taff, built in 1799 by Watkin George for the Cyfarthfa Ironworks. 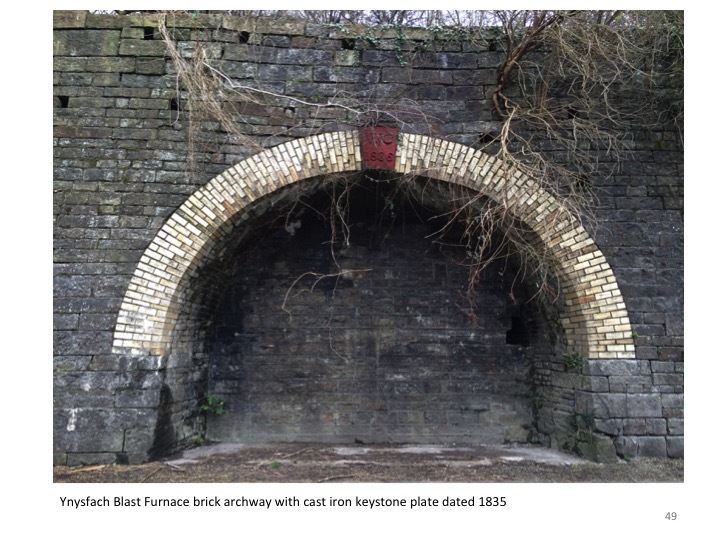 Glamorganshire Canal & Parliament Lock. 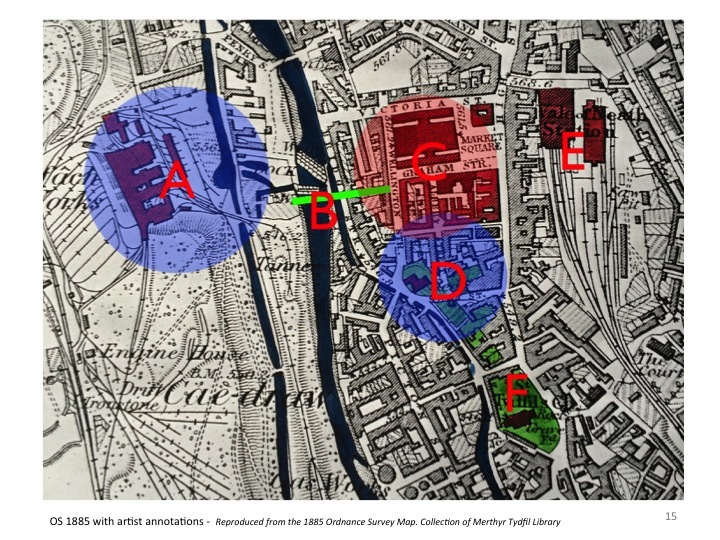 Detail of OS Public Health Map of 1875 – showing the weirs crossing the Taff. 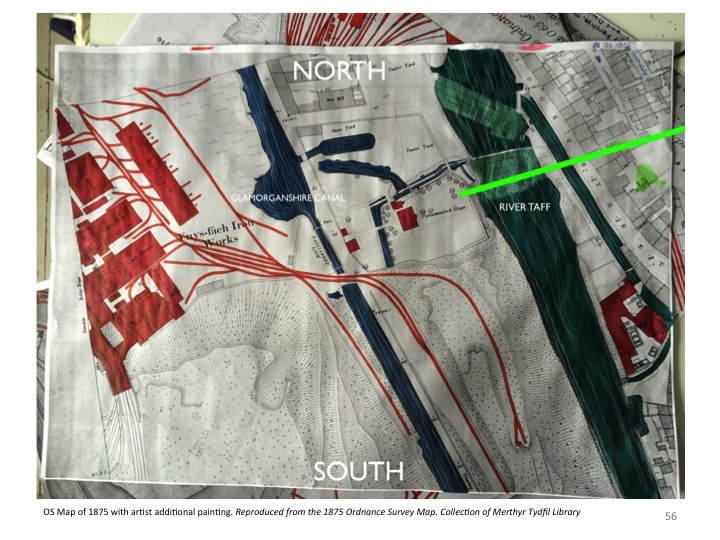 The Canal & Lock are highlighted. 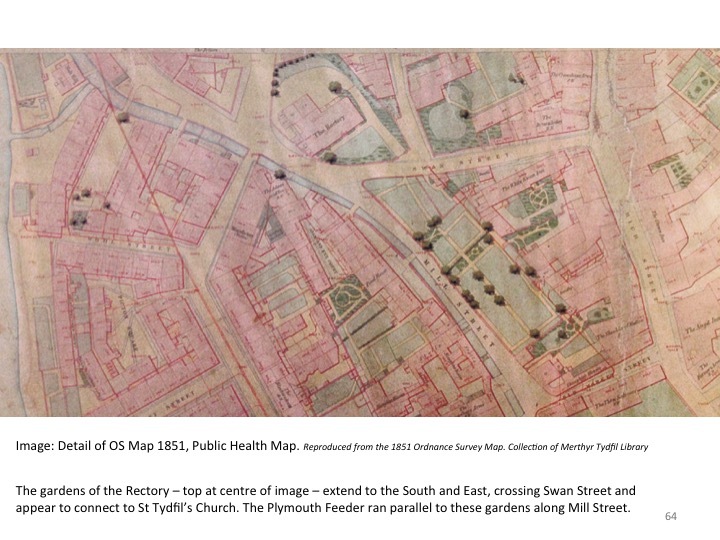 Reproduced from the 1876 Ordnance Survey Map. 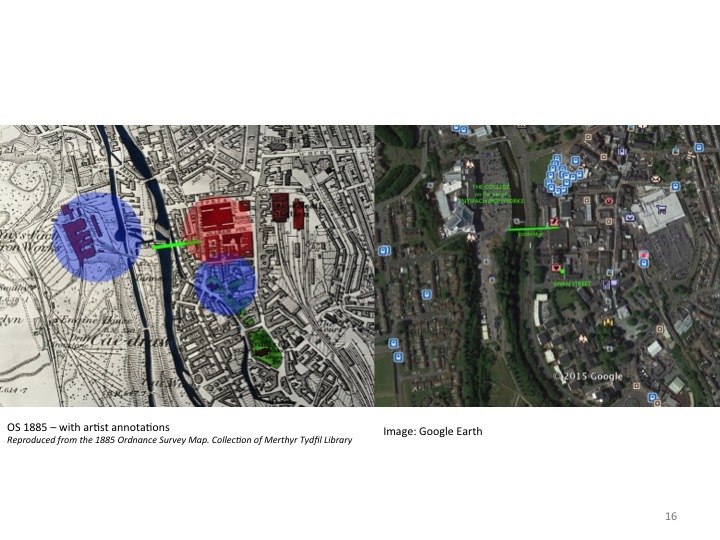 Collection of Merthyr Tydfil CBC Libraries.